For over 50 years, Tony Greaves has been raising miniature horses. His love for horses began when he was young boy. His father raised Shetland ponies and horses. Greaves and his family now own Little America Miniature Horses. 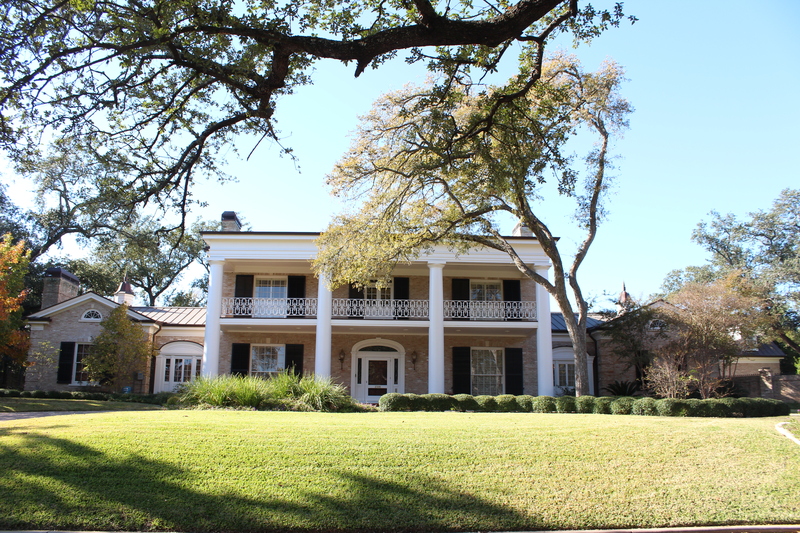 He and his wife, Carol, live on their 200-acre ranch in Buda, TX. The two raise miniature horses to sell them or show them. The number of horses they have varies, but they currently have 170 miniature horses. Greaves said miniature horses are created through selective breeding. Bloodlines, color and size determine the price of the horses. 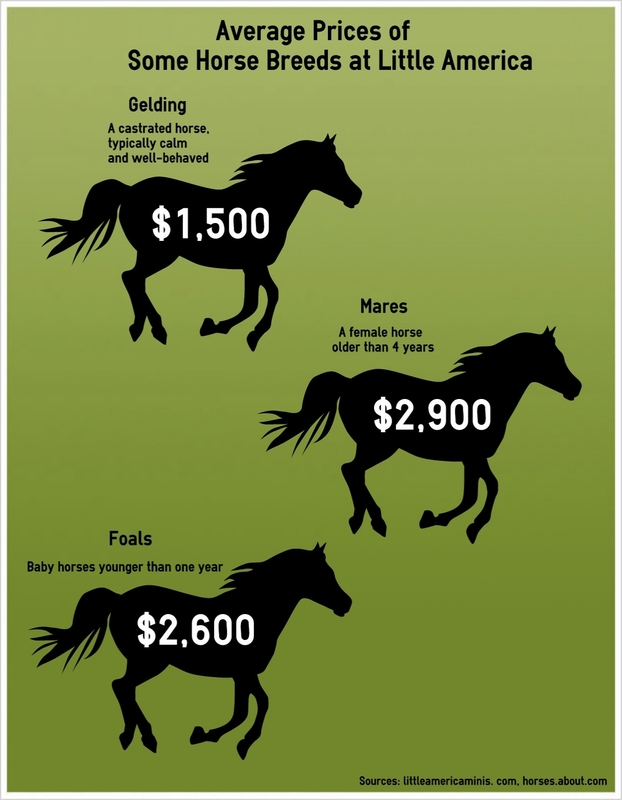 The smaller the horse, the more expensive they are. Prices of Greaves’ horses range between $500-$50,000. 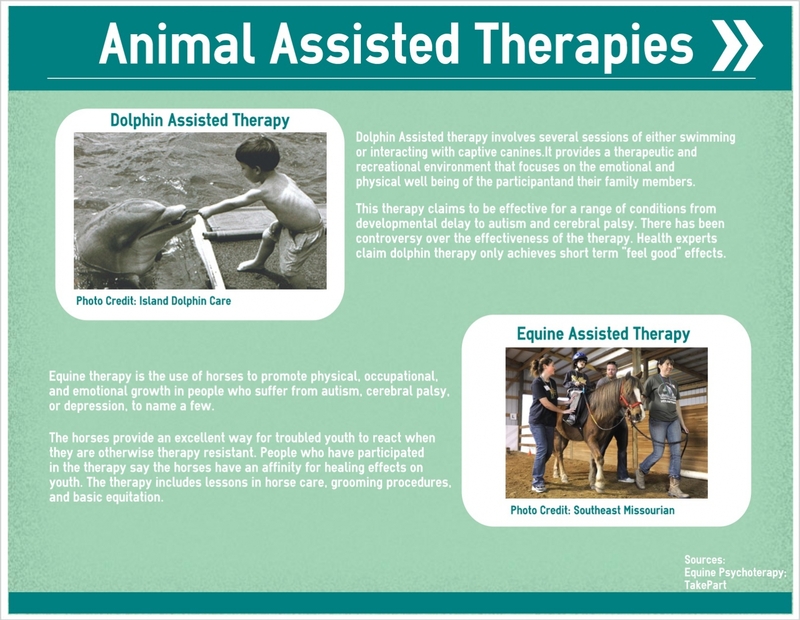 Horses that are sold as pets are less expensive than those purchased for the purpose of showing or breeding. People who show horses seek out the bloodlines of Greaves’ horses. Greaves said many people confuse miniature horses with ponies. 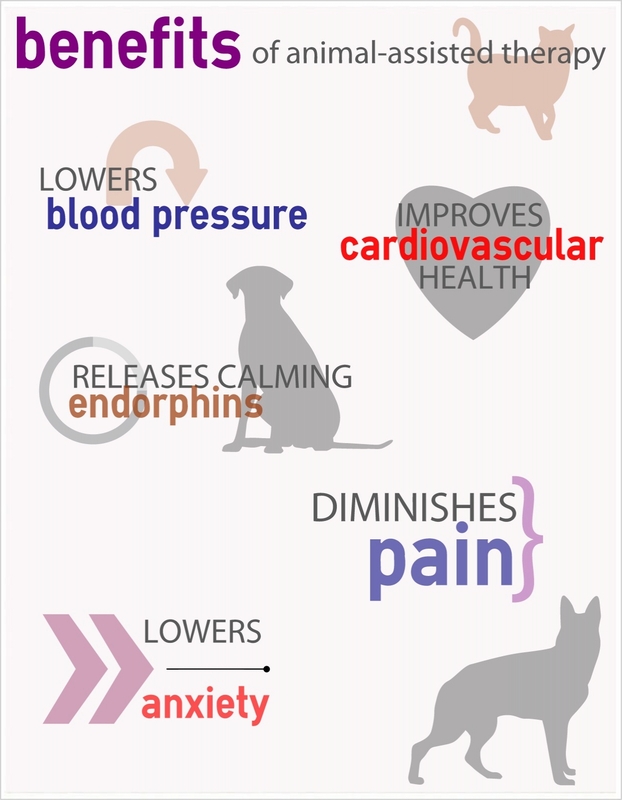 But, Shetland ponies are up to 48 inches tall and miniature horses are 34 inches or smaller. He prides himself on the fact that all of his horses are under 34 inches and 80 of them are under 30 inches. Little America is known around the world and Greaves has sold horses to people in Russia, Australia, Scotland, Belgium and France. The Internet has revolutionized how Greaves does business. He said 60 percent of the horses that he’s sold over the past five years have been purchased over the Internet. Greaves’ goal has always been to raise a herd of 22-inch miniature horses. Recently, he bred a 24-inch horse named Fan Man. Greaves still aims to breed that perfect tiny herd. Would you live in each of the following home sizes? Have you ever gotten the notion to recycle and donate some of your belongings or to downsize your home? But, would you reduce the size of your living space to one percent of the average American home or rather some 33 square feet? Dr. Jeff Wilson, Dean of the University College and Associate Professor of Biological Sciences at Huston-Tillotson University in Austin, TX, has decided to abandon the traditional approaches of teaching about sustainability and instead, to live it. 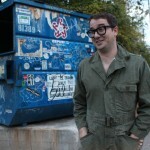 For one year, Wilson will live in a formerly used, garbage dumpster. “People are tired of listening to speeches about sustainability. No one wants to watch ‘An Inconvenient Truth’ anymore. They don’t even want to watch an environmental film,” Wilson said. Wilson, a.k.a. “Professor Dumpster,” plans to transform the garbage dumpster into a sustainable home with no waste, net-zero electricity and minimal water usage. 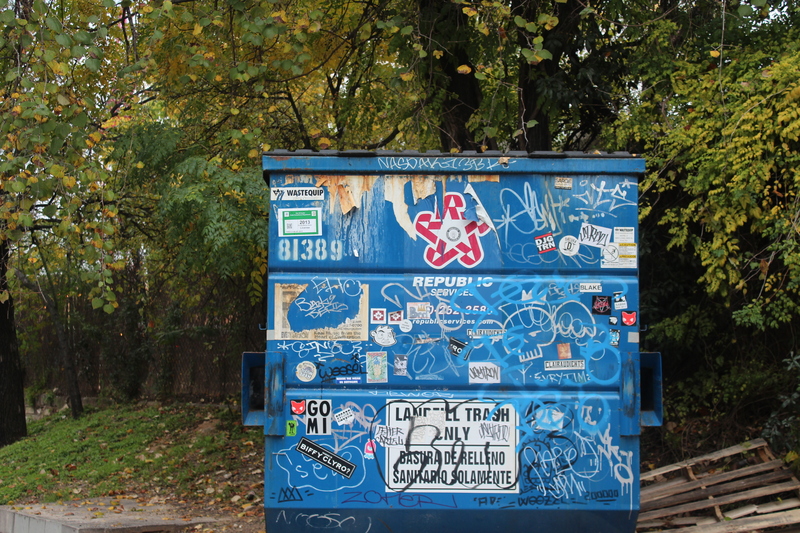 The dumpster will be used as an ongoing experiment, called “The Dumpster Project,” to capture the local, national and world-wide community’s attention and to open a dialogue about sustainability. 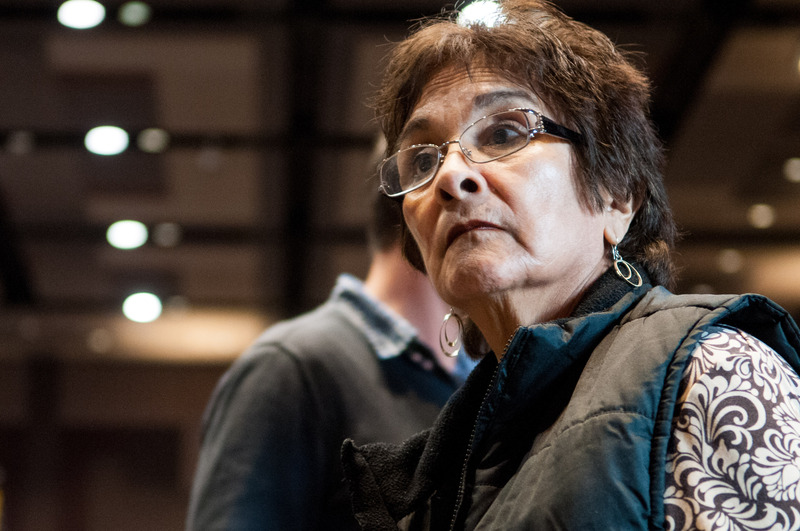 “What we’re trying to do here is just engage a much wider swath of America…Everybody can get involved in this project, of all ages, from very young to very old, from the very far left to the very far right,” Wilson said. About a year ago, Wilson decided to live on smaller scale. He quit living in his apartment and sold every possession for $1 each. He is currently living out of one suitcase and is couch surfing until The Dumpster Project is officially launched on the first class day of the spring semester at Huston-Tillotson University. Wilson will be teaching a “Dumpster 101” class, and on the first day of class, the class will go dumpster shopping for his new home. Although the idea was initially thought of in a coffee shop, the project has been developed by a team of experts in various fields ranging from design, engineering, education and sustainability. The team members consists of professors and directors from the University of New Mexico, Stanford University, University of Texas at Austin and the University of Texas at San Antonio. Starting off as a barely habitable and sanitary home, the dumpster will be transformed into a fully-functioning and furnished house. According to Wilson, The Dumpster Project will have three main phases. The first phase will consist of camping-styled living such as filtering rain water and using a portable stove and solar-powered cellphone charger. From there, the dumpster will plug into the city’s power grid and water supply and proceed to add on the essentials of the average home such as an inefficient toilet, window air conditioner, microwave and washing machine. In the final phase, the dumpster will be transformed into a small, full-functioning and self-contained home with a shower, television and video game consoles. In the first and third phase, the dumpster will be made portable where the dumpster team will move it into different neighborhoods of Austin such as East Austin, Westlake and the Austin Country Club. Not only does Wilson want to see the different neighborhoods’ reactions when they find out that a man is living in a dumpster, but wants to incorporate data on home consumption. 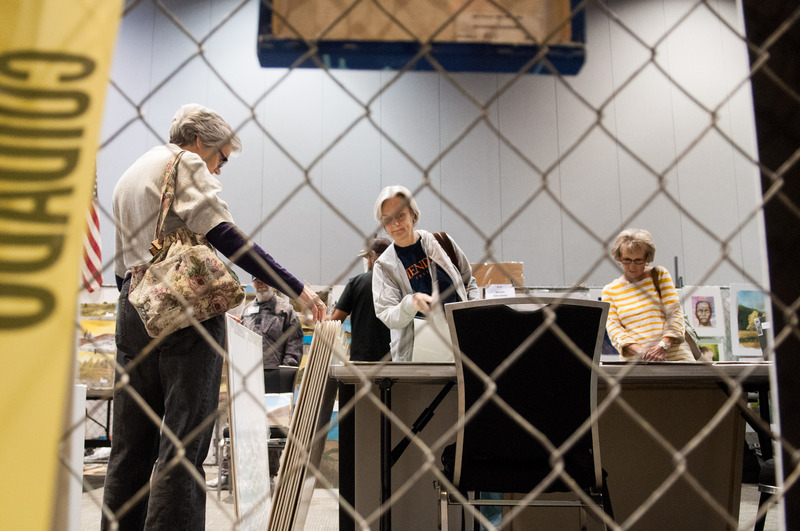 “It [the dumpster] will be fully instrumented so you will be able to see on the website what are the pollution levels here on the east side versus in Westlake, how much the average home consumes in terms of energy and water here on the east side versus Westlake,” Wilson said. 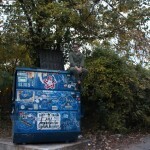 When Wilson wants a night off from his dumpster home, he plans to allow the students to experience a more sustainable life by living in the dumpster for a night or two. But through this project, his larger plan is to help publicize Huston-Tillotson University and its students and to have it become one of the top 5 green, historically black universities in America. The Dumpster Project has partnered up with the newly, created student group on the Huston-Tillotson campus, Green is the New Black. Their mission is “fostering new shades of green as the roots of our future.” They plan to help transform the dumpster into a sustainable home and to use their knowledge from the project to transform the campus into a more sustainable one. Olivia Sanchez, a senior majoring in Environmental Science, and Maurice Flemming, a senior majoring in English, are the two co-chairs for the organization. They wanted to create the student group to bring minorities together to talk about sustainability and what being green actually means. “I’m a minority, an African American male and we’re just not really a part of this conversation. We’re not a part of this green community that exist. It is large and part because it is not advertised to us. It is not marketed to our particular race and culture,” Flemming said. 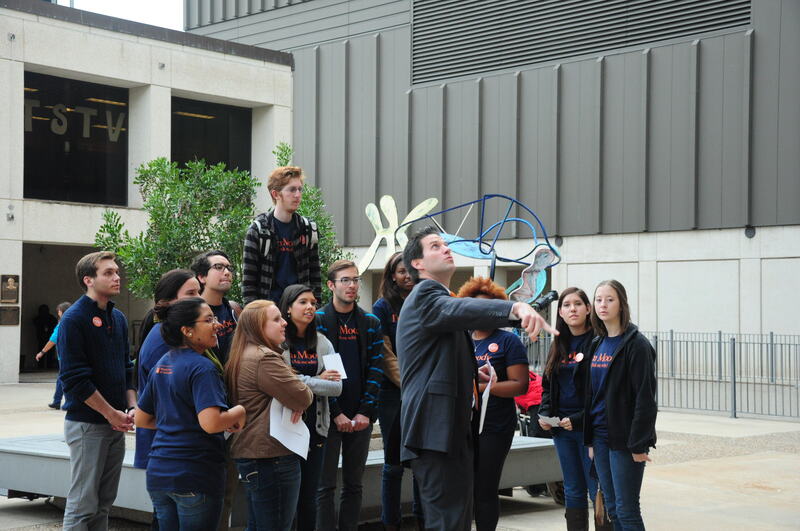 Although the group was recently formed, the group has already taken action on their campus and in their community. 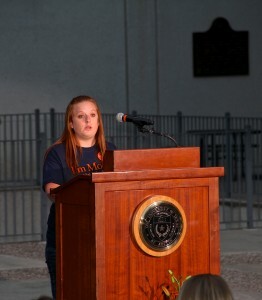 On Friday, the group hosted an hour-long information session on campus about their organization. Some of the festivities included speeches, surveys, freestyle rap cyphers and recycling games. Huston-Tillotson University, with the help of the Green is the New Black, is one of the four finalists in Ford’s Historically Black Colleges & Universities (HBCU) Community Challenge: “Building Sustainable Communities.” They are the smallest university contending against Howard University, Fayetteville State University and Tuskegee University. The grand prize is a $40,000 scholarship. The winner will be determined on December 6. “I’m helping my friends learn and that for me is enough. To know that I am making some what of a difference by helping others to then make more of a difference. You know, knowledge is power. The more you know the more you can do with it, and I think that with our group, we have so much potential that I don’t what can stop us,” Sanchez said. Sanchez said she feels like her school has an advantage in the competition since they live in Austin, TX, a city that usually makes various new sources’ top ten lists for the greenest cities in America. Given the difference in criteria for making the list of greenest cities, Austin is usually cited for its many parks, local green organizations, bicycle friendly roadways and the community’s push for local, organic food. 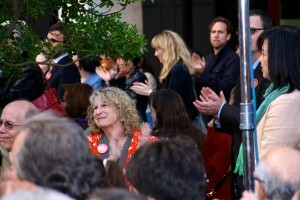 In 2007, the city of Austin made the year 2020 as the deadline for becoming 100 percent carbon free. Already the city has made its local governing facilities to be run on renewable energy and offers a voluntary green-pricing energy program to its citizens. 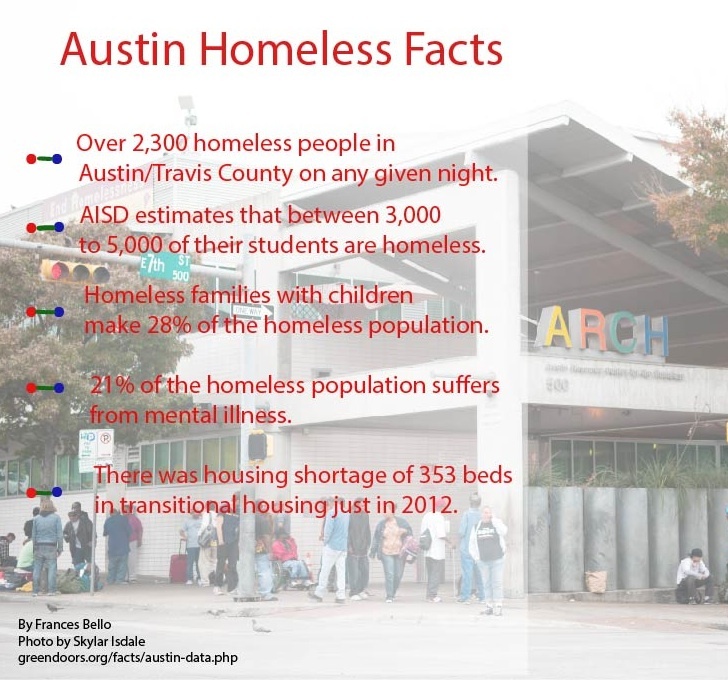 Some other initiatives include the Austin Green Business Leadership Program, an ongoing program to help businesses become more sustainable and The Green Alley Initiative, a plan to convert empty alleyways into places for rain gardens, seating and drought-resistant plants. The city is also giving incentives for homeowners and businesses to convert their roofs into a green roof or a rooftop garden. Earlier this year, the City of Austin received the Climate Leadership Award from the U.S. Environmental Protection Agency. The award recognizes the city’s past achievements and future goals for a greener city. Austin was the first city to be selected for this award. 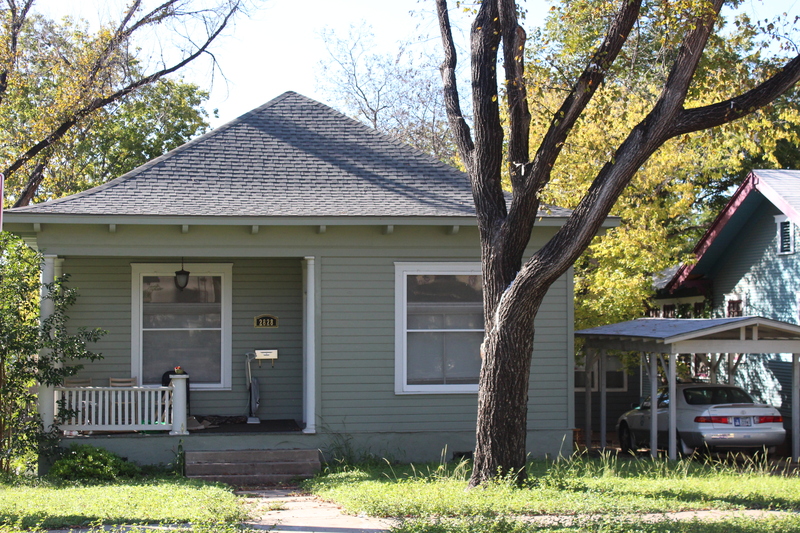 Listen to Liz Jambor of Austin Energy discuss the history of green energy in Austin and give tips on how homeowners and apartment renters can save on their monthly energy bill. For many Americans, November is the month of thanks. A time to reflect on the year’s blessings and to gather with family and friends in feasting, football, and fun. But for Mo Bros throughout the world, November is the month of growing mustaches. Since 2003, the eleventh month of the year has been termed Movember by men and women all over the globe who join together annually in raising funds for men’s health research. What began as a small movement of 30 men (or Mo Bros, as they appropriately call themselves) in Melbourne, Australia has now grown into a worldwide campaign involving 3.9 million people across 21 countries. After moving back to the United States, Leonetti started working for Movember with a few other men out of a small west coast apartment. Less than 10 years later, Movember’s U.S. office is currently based out of Culver City — just one indicator of the organization’s growth. Not to be confused with No Shave November, a web-based community of folks who simply practice the “art of not shaving during the month of November,” the Movember Foundation is an official charity that encourages men to grow a mustache for the 30 days of November in order to raise awareness of testicular and prostate cancer. 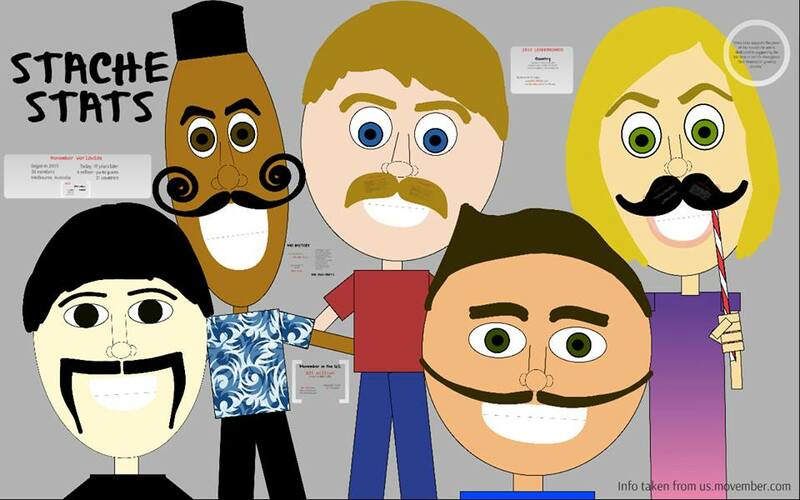 Participants are encouraged to include their family and friends by asking for donations, which mustache-growers can keep track of through their online profile page. Even though Mo-growing is mostly a manly sport, ladies need not worry about feeling left out. Guys aren’t the only ones encouraged to participate. According to the Movember website, there are a record number of 209,000 Mo Sistas registered in the U.S. this year. And the numbers are continuing to rise. 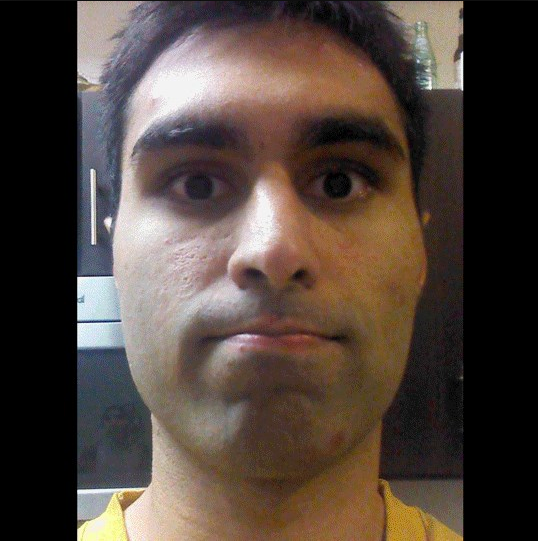 Click to see time lapse of UT student and Mo Bro Hasaan Rauf’s mustache-in-progress. So far, the movement has raised a total of $446 million, enough money to fund 577 projects sharing the same goal: to improve the global state of men’s health. In the lead for the highest amount of money raised is Canada, with over $15.5 million in donations. The United States comes in at a close second in funds but beats Canada by nearly 50 thousand in participants. In the last decade, Movember has made a name for itself in a large number of cities across the nation, including Texas’s very own Austin, Dallas, and San Antonio. 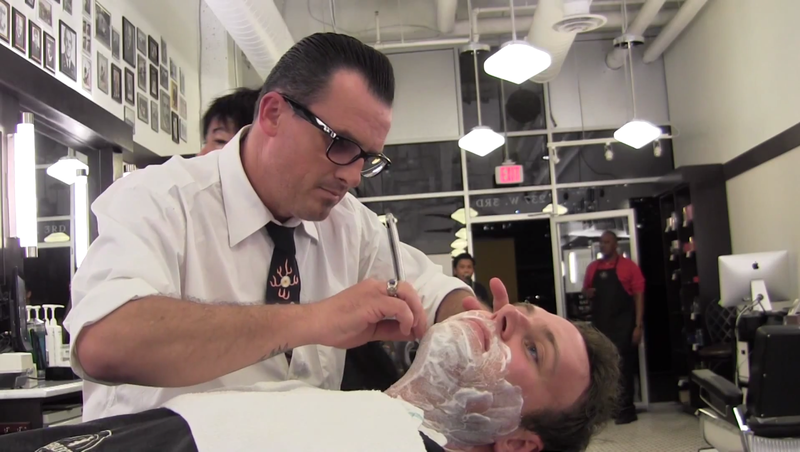 To kick off the month of Movember this year, Finley’s Barber Shop held “shave-off” parties at their Austin and Dallas locations. Darren Peterson, managing partner of the Austin shop, says that between the two cities Finley’s barbers shaved about 65 Mo Bros for half-off the regular price in support of Movember. On Dec. 1, Finley’s will partner with Harry’s Shave Gear of New York to provide free limited edition razors for men with mustaches. Sporting events are another common activity among athletic Texas Mo People. Cyclists joined in on Nov. 17 for “Moustache Rides,” a cycling benefit that took place in Austin, and this Saturday the “Mustache Dache,” a national 5K running series, stopped in San Antonio. 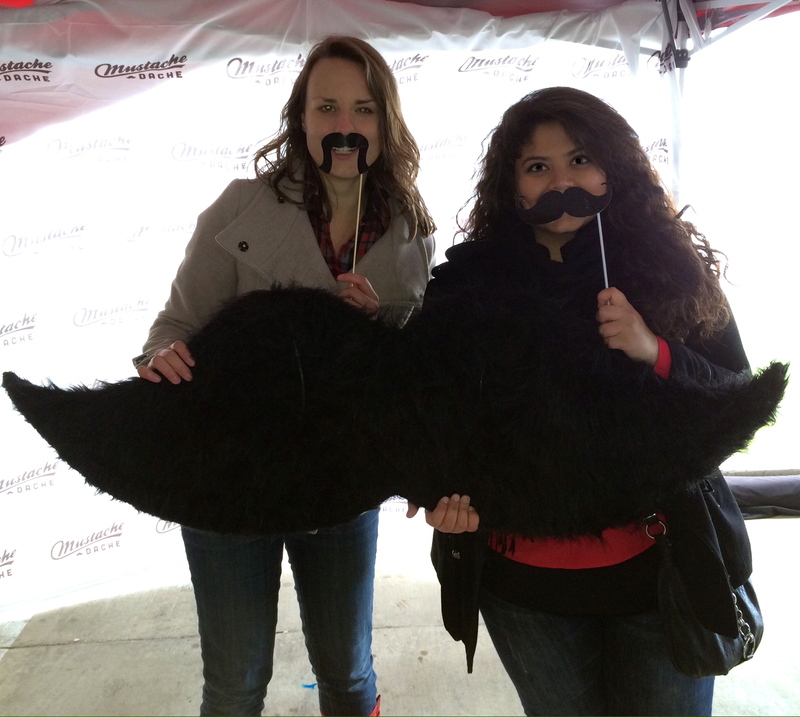 Men, women and children participated to raise awareness of prostate and testicular cancer — and to run with mustaches. With all of the hairy hype going around, it should come as no surprise to Austinites that the movement has hound support on the University of Texas campus. In 2012, UT’s Interfraternity Council (IFC) got the ball rolling by contacting Movember headquarters to set up a network of multiple chapters within the Greek life at UT. Among the 19 teams, the 357 participants raised almost $23,000 last year, making UT one of the leading campuses of the Movember cause. The numbers are up to $18,000 this year. According to Phil Butler, coordinator of the sorority and fraternity life on campus, the fraternity man that raises the most money has received an iPad as a prize in the past. The chapter that raises the most will receive a trophy. The IFC sponsors also host a number of events to keep the mustache season interesting, including a “Best Mo” competition. “IFC tables several times throughout the month to raise awareness, hosts a speaker from the Livestrong foundation and has a voting contest to determine whose mustache looks the best at the end of the month,” Butler said. Most Mo Bros and Mo Sistas will point out, however, that the thrill of the competition isn’t what keeps the movement alive. Nor is it the fun events or even the “cool factor” of sporting a full-grown mustache. For participants everywhere, it’s about the fathers, sons, brothers and husbands who are fighting for their lives. UT senior Joe Marshall began raising money for Movember last year because of his grandfather’s battle with prostate cancer. As a member of the 2014 Texas 4000 team, another community of cancer fighters, he’s recruited about 10 cyclists to partake in the movement over the last year. “If there’s anything that I’d like people to know about Movember, it’s that the information spread is just as important as the funding raised,” Marshall said. The motivation behind Movember is simple. When it comes to prostate and testicular cancer, early diagnosis is key to successful treatment. Promoting knowledge of the risk factors and possible signs of cancer can help save a man’s life. With all of the global efforts going toward this very mission of saving lives, Movember provides just another reason to be thankful this Thanksgiving. 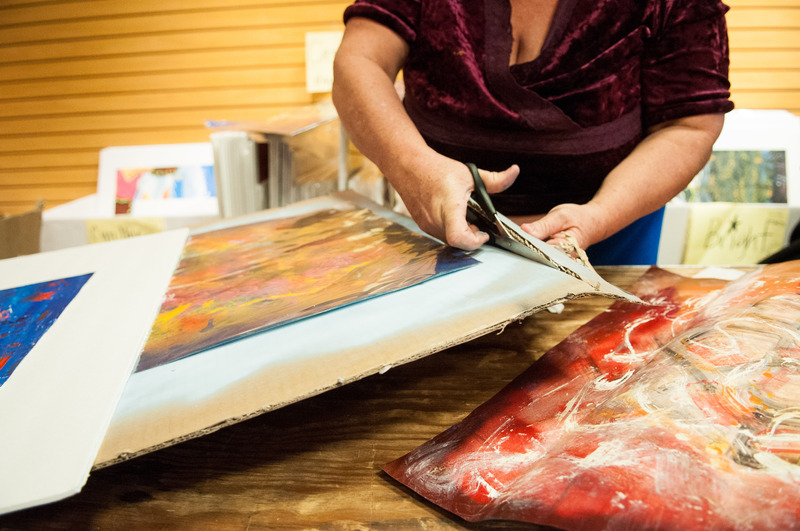 Art From the Streets is a volunteer-run program that hosts open studio sessions throughout the year for homeless and formerly homeless individuals to create artwork. 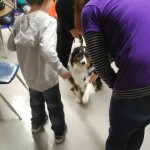 The program culminates in their Annual Show and Sale. 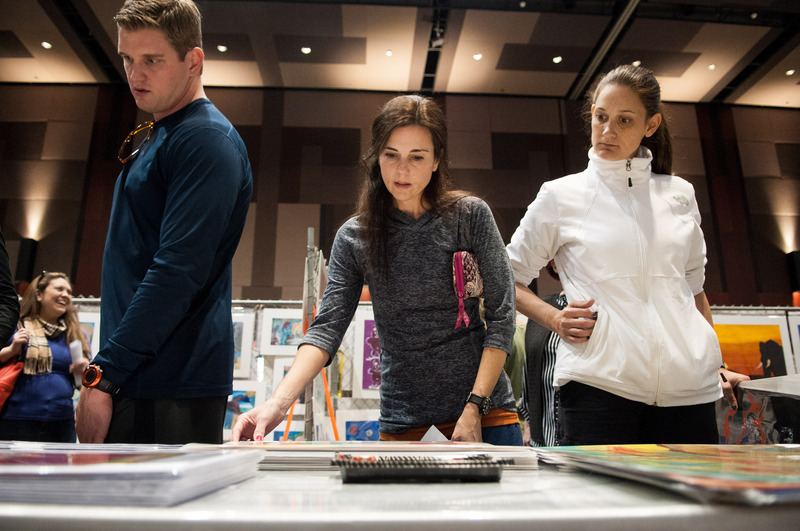 A line of shoppers waited eagerly to enter the Austin Convention Center to scan the pieces of the 21st annual Art From the Streets Show and Sale. 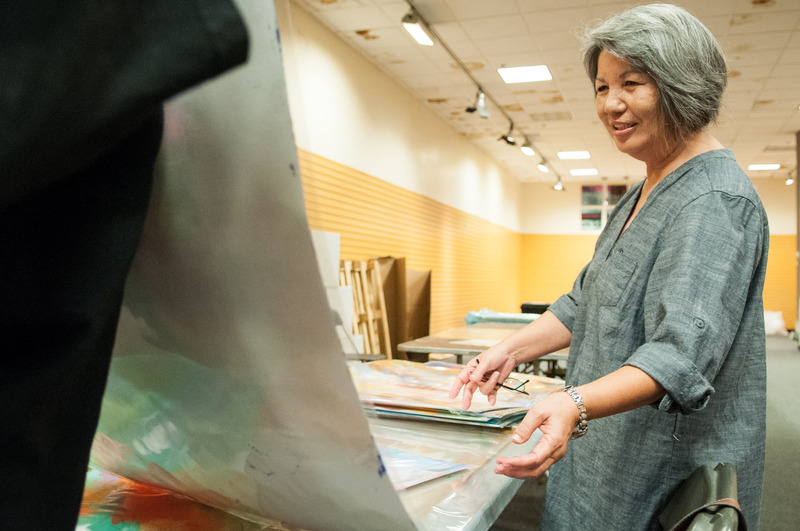 Paintings and drawings lined mounted boards throughout the center while the artists hoped one of their artworks would catch the eye of a passing shopper. 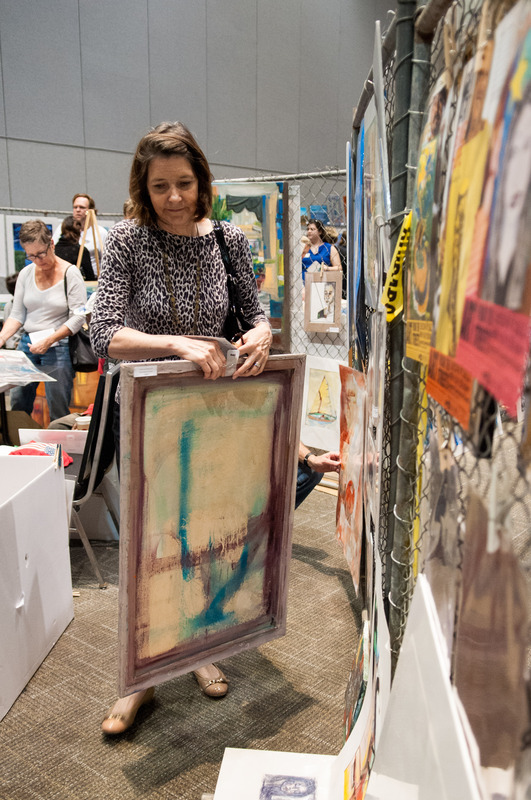 Those artists, whose creative works were being displayed and bought in a professional art show, are also homeless or formerly homeless. 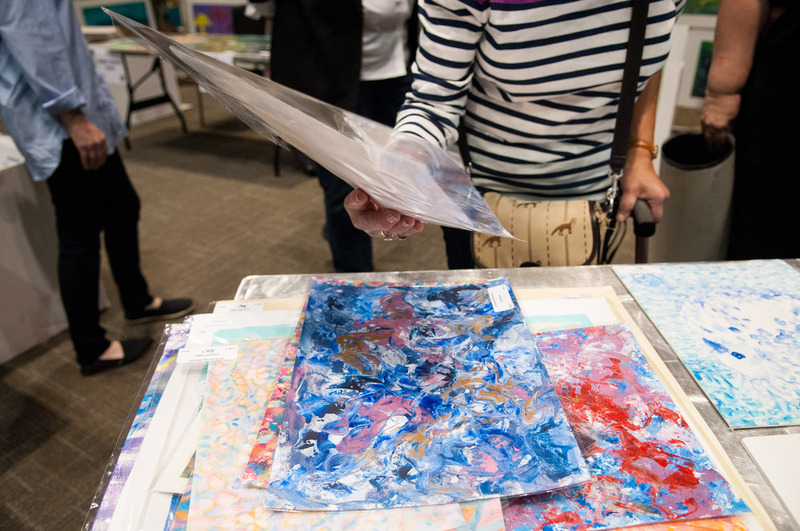 Art From the Streets is a volunteer-run program in Austin that allows homeless the opportunity to create artwork in two sessions weekly and culminates with a show every year where the artists can sell their pieces. 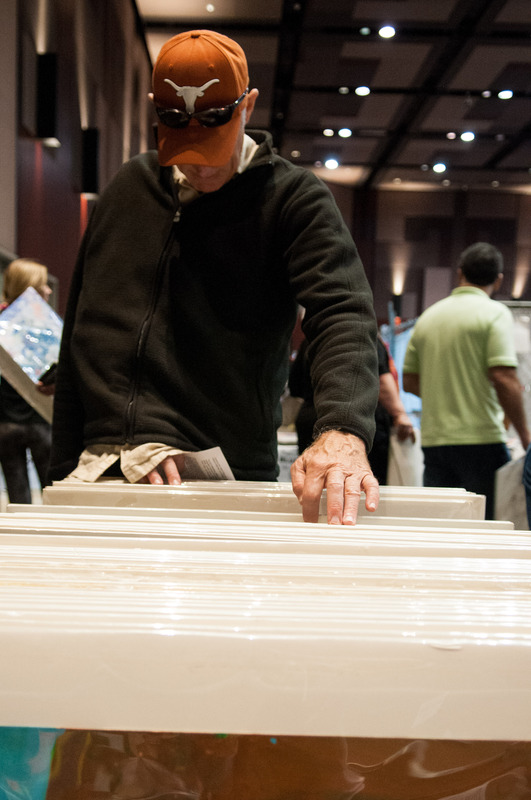 This year’s show took place on November 9 and 10 from 12 to 5 pm at the Austin Convention Center. 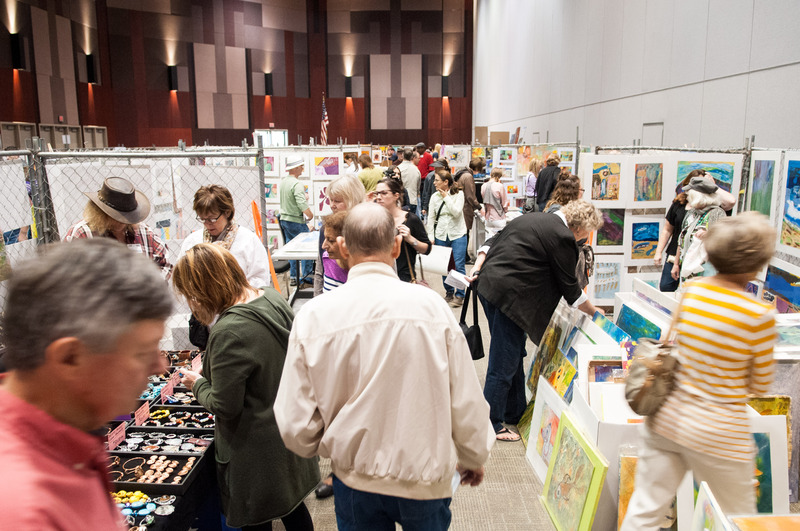 According to Bill Jeffers, President of the Board of Directors, the show is much more than just a simple art show and holds a serious significance for the artists. Art From the Streets started 21 years ago out of a simple idea for a group of friends to volunteer at the local homeless shelter. Jeffers said a group of his friends started taking art supplies to the shelter and after lunch asked people if they wanted to draw with them. 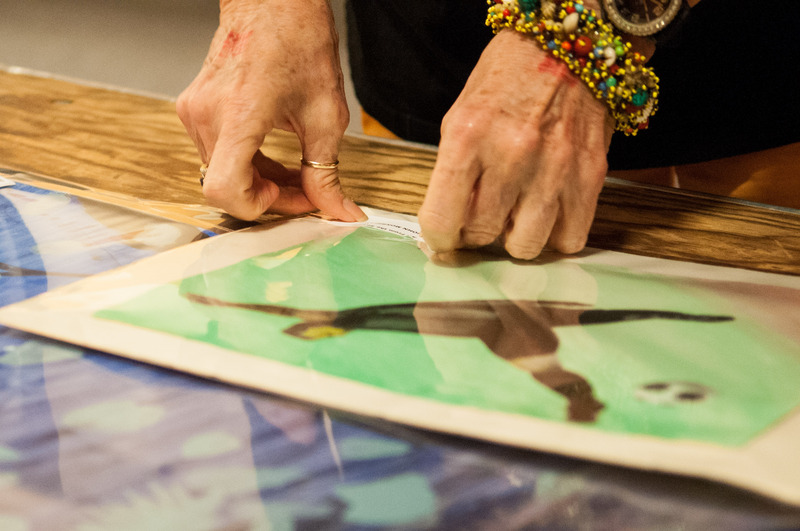 When the shelter moved, Jeffers and his friends were given the opportunity to use the shelter’s board room to hold designated times for the artists to come in and draw. This is how weekly sessions began, and the surprising results from those sessions resulted in the first show. 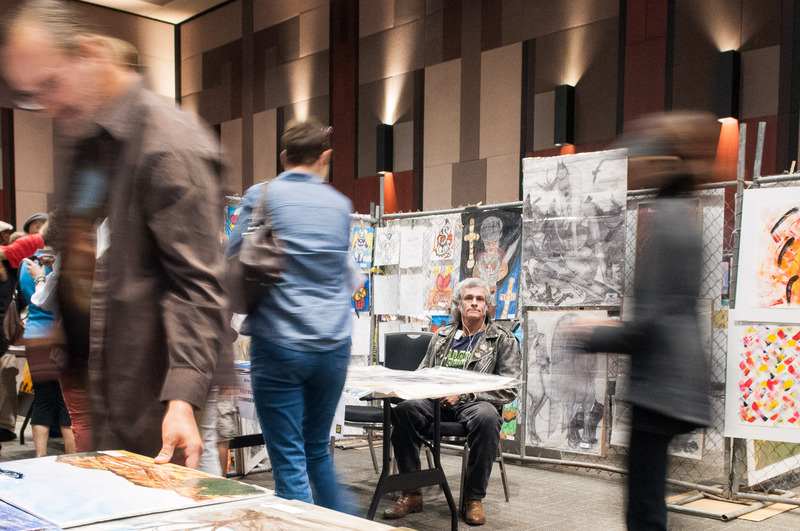 From the start it was clear the sessions were making a positive impact on the artists’ lives. 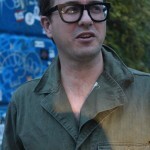 Jeffers said his group of friends felt art was a positive influence on the artists because everyone can make art and enjoy it. 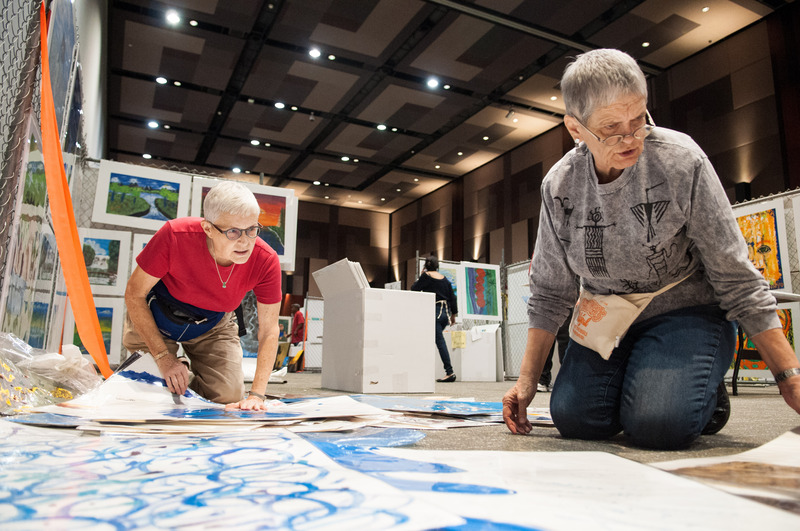 The sessions now take place every Tuesday and Thursday at the Trinity Center where the artists have two and a half hours to work on their pieces. 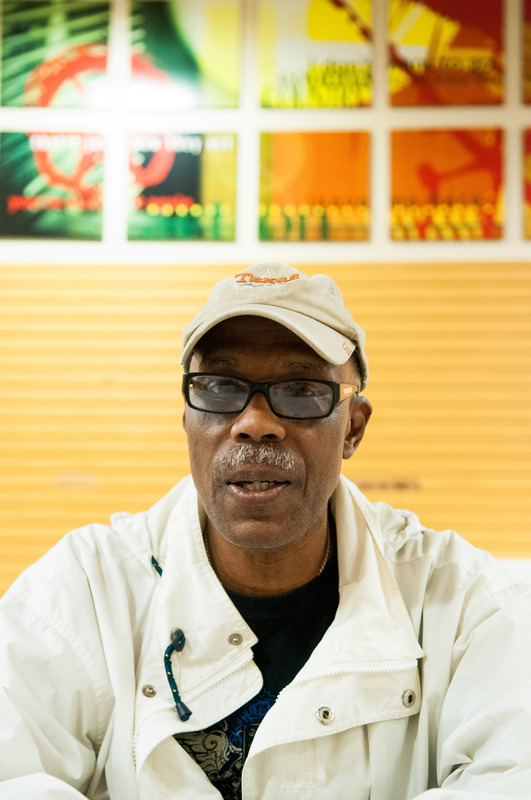 Hugh Miles, who has been an artist with Art From the Streets since the beginning, agrees with Jeffers, explaining how the program was so influential in his life. “I was already an artist to begin with, but what inspired me was it gave me something to do during difficult, hard times. It was my escape to where I could go and just have a little me time and be creative,” Miles said. 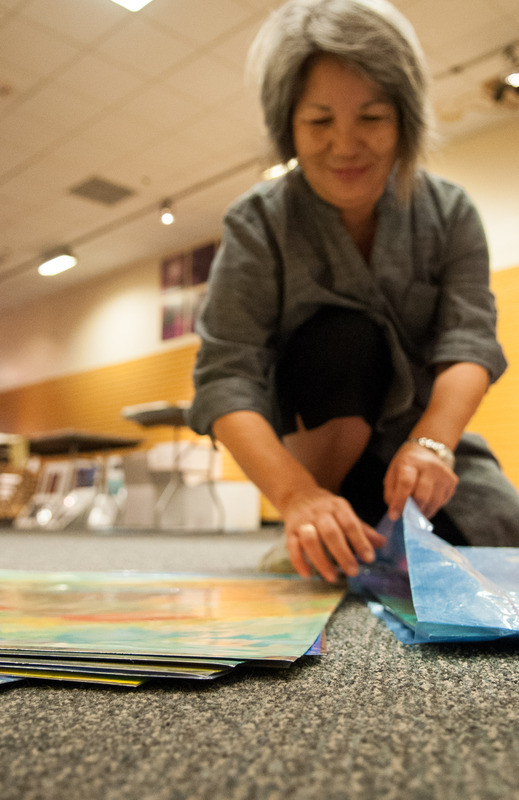 After artists create their work for an entire year, the event takes roughly three weeks of preparation, according to Kelley Worden, a volunteer in charge of art preparation. 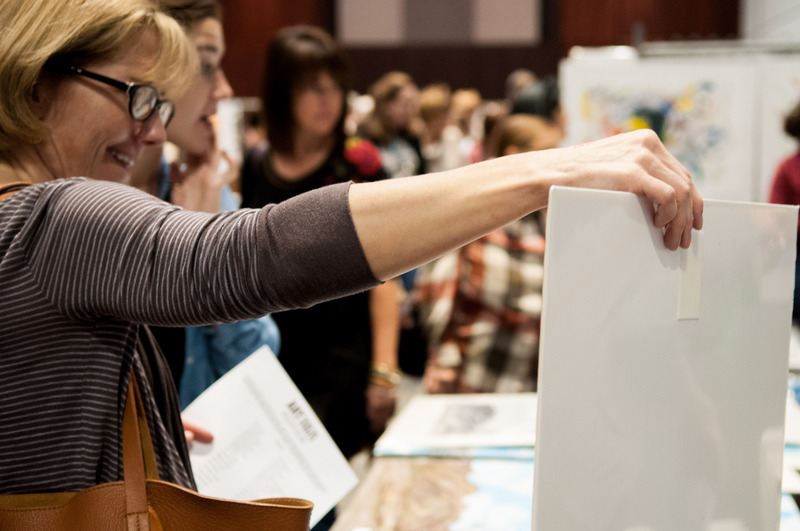 This year’s show was the result of 100 artists’ pieces. 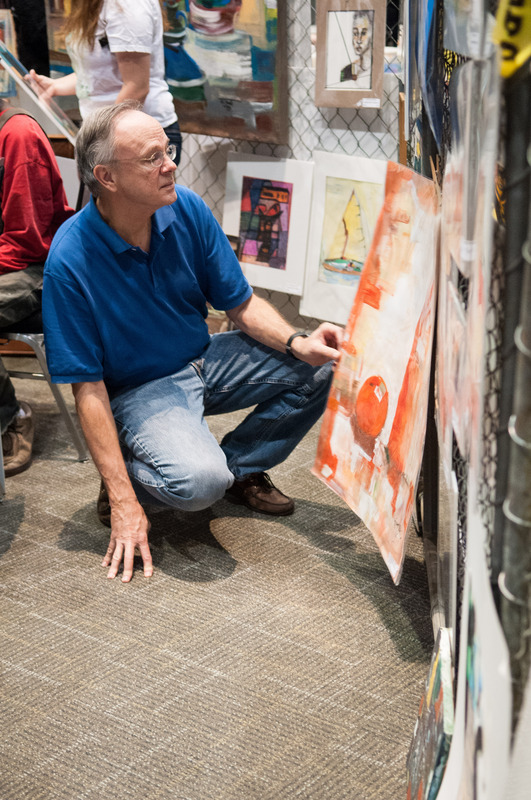 Jeffers said approximately 80 artists sold pieces. Worden says most of the profits from each piece goes directly to the artist. The cost for the mounting totals roughly $20,000 a year, Worden said. The program would not be able to afford this aspect of the show without funding from the Cultural Arts Division of the City of Austin. Jeffers says this funding is instrumental in the program’s success. “I can’t stress how valuable the support from the city is. 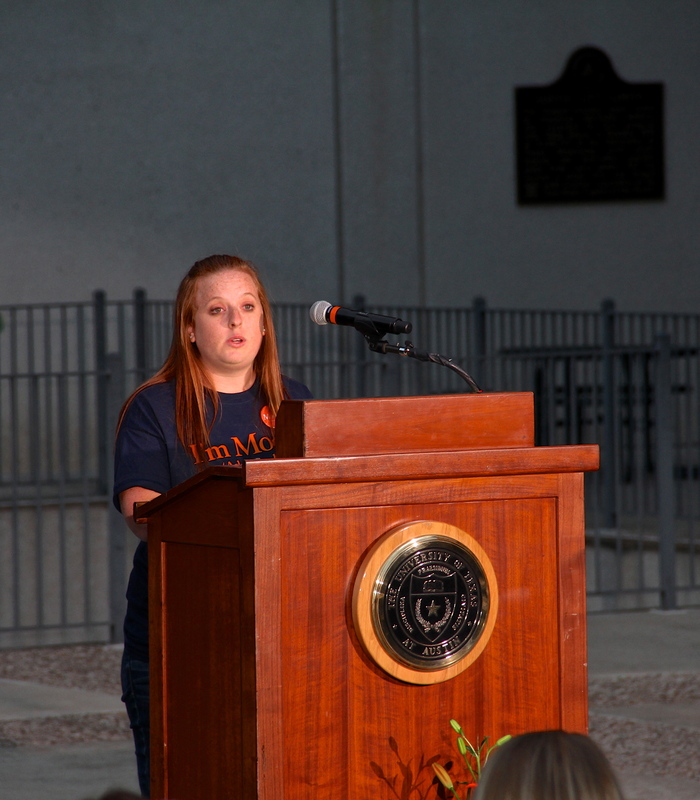 They support these programs and allow us to continue to do this every year,” Jeffers said. The program has received this funding every year except the first year, which has allowed for the practice of mounting a few key pieces from each artist. The mounted and un-mounted pieces sold resulted in an extremely successful show for Art From the Streets, Jeffers said. “One of our best years yet. 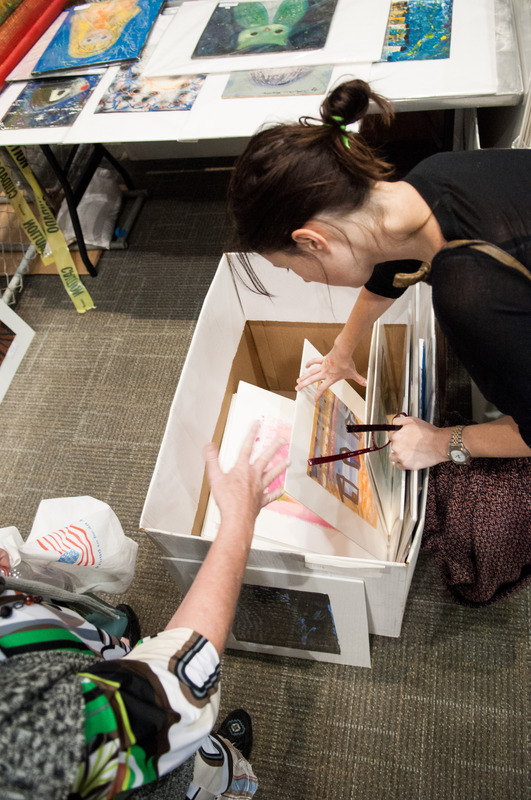 We made around $83,000 from the sold art in 10 hours,” Jeffers said. While that is a great success for the program, it is not the best result in the history of the show. Jeffers said the record was $87,000 in 2006. Both those numbers are a far cry from the results of the first show which sold $1,600 worth of art in a one-day four-hour show. From that first show Jeffers knew the idea would be a success. 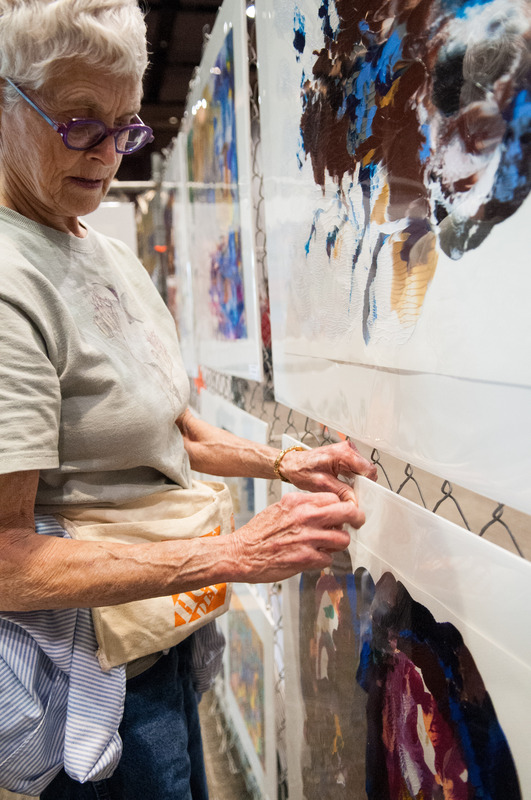 For the 2,000 artists who have come through the program over the years, art has become a cathartic experience, even for those with no experience. 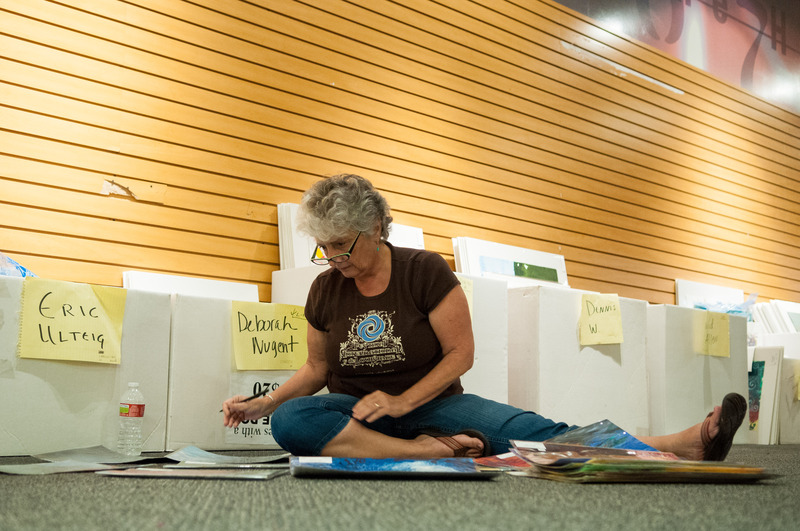 “The overwhelming response when we ask people to come draw is, ‘I cant even draw a straight line,’ but the act of creating something and sitting with yourself and making something you created helps everyone,” Jeffers said. He is not the only one who feels this way. 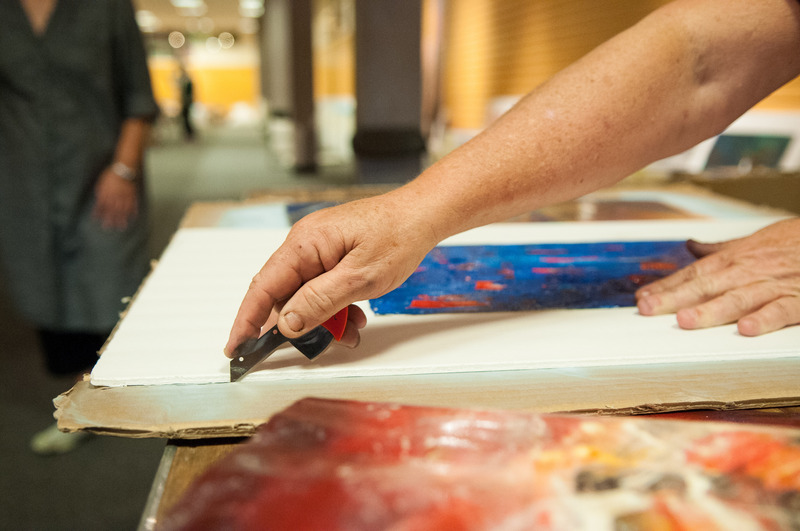 Cindy Dollar Brown, who went to an Art From the Streets show about 10 years ago and has been volunteering in various capacities since, believes the program offers the homeless something they could not experience without it and also helps those volunteering. 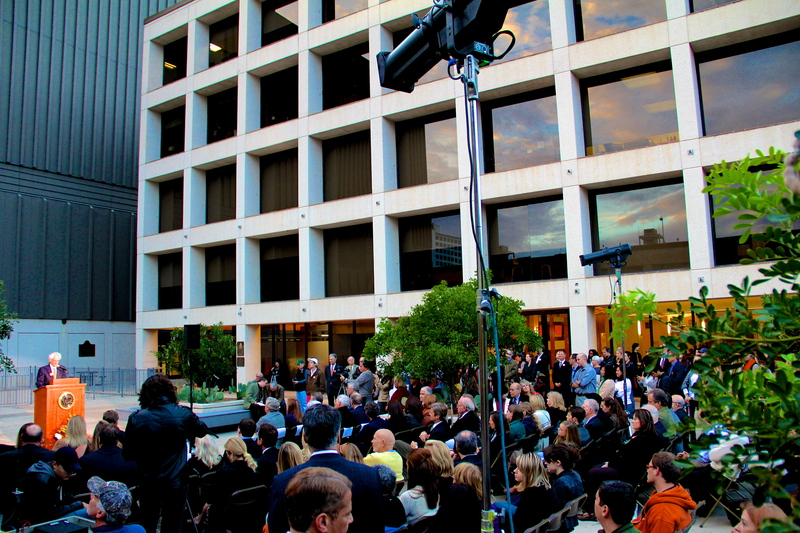 “It gives a sense of industry and a sense of purpose to people who might not otherwise have that,” Brown said. Jeffers says the program is growing and in constant need of more help for the continued success and growth of the program. The program is hoping to get higher involvement from younger people including those in college but says they struggle with that demographic because of the times of the sessions. 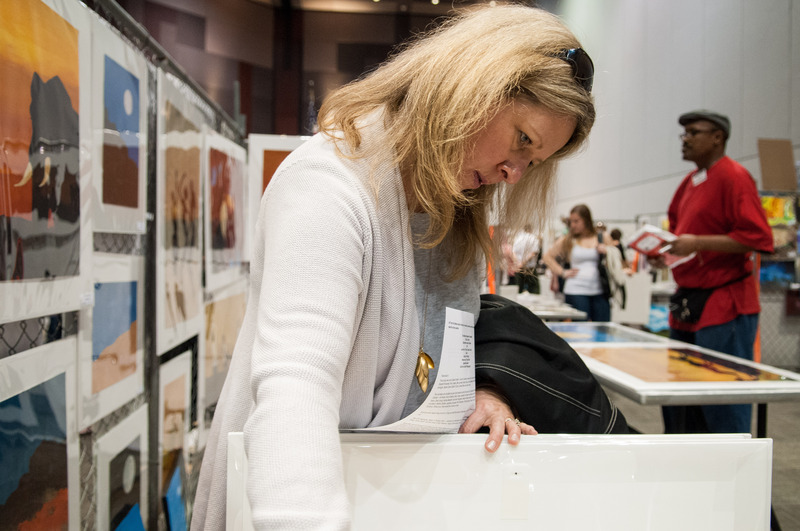 Those who volunteer with the program cannot stress enough the rewards of being involved and the positive impact on those who volunteer and attend the show as well. According to Worden, the program benefits more than just the artists. “I think giving back and helping these people have a hand up is some of the best work you can do. 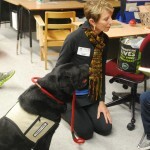 And just to be around them and be excited for them and to give them a purpose, I think it is a wonderful organization to work for,” Worden said. Of course the artists themselves greatly benefit from the program and show, as well. 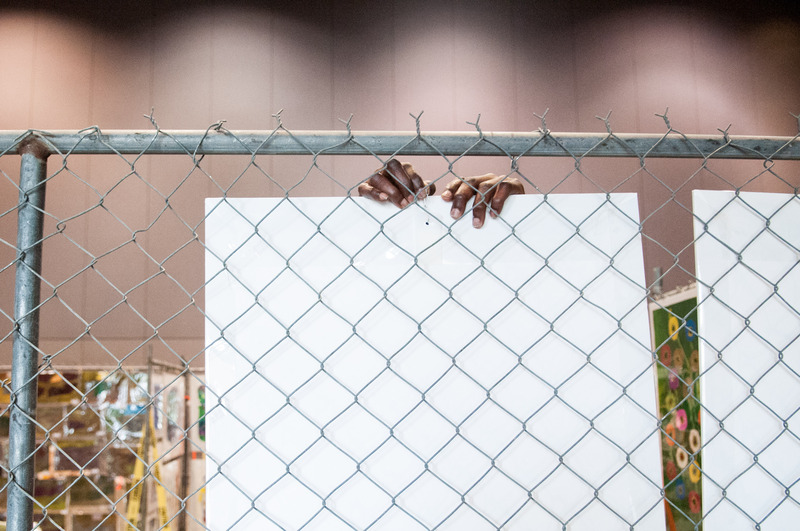 Miles credits Art From the Street for playing a large role in no longer being homeless. He continues to play a role in the program and shares his experience to remind himself of where he came from and hopes that the program will have the same effect on others. “I am truly blessed. I am not out on the streets anymore, but I am still partaking because I never want to forget. I want to continue being that light for others,” Miles said. 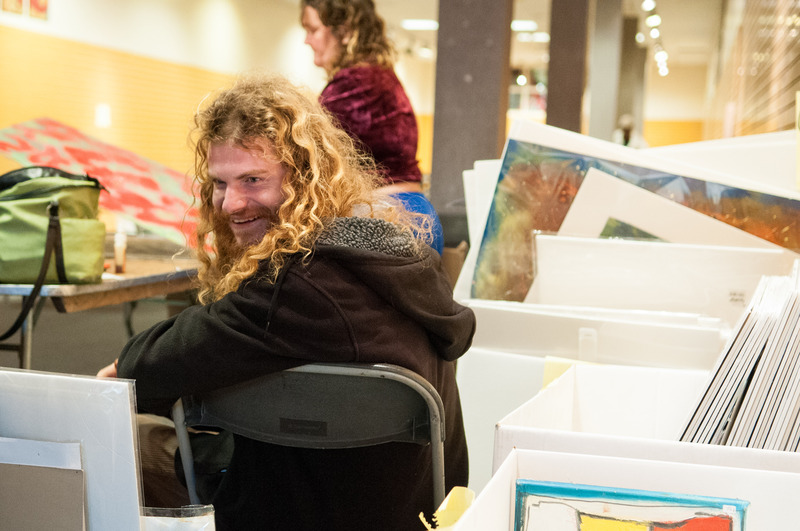 He is an exception though, as there are still many homeless in the city of Austin looking to change their lives with the help of programs like Art From the Streets and get to where Miles is today. “I was one of the lucky crabs that got out of the bucket,” Miles said. To read more about my experience with Art From the Streets, click here. Through droughts and flooding, Mother Nature has had her share of fun with Austin over the past months. 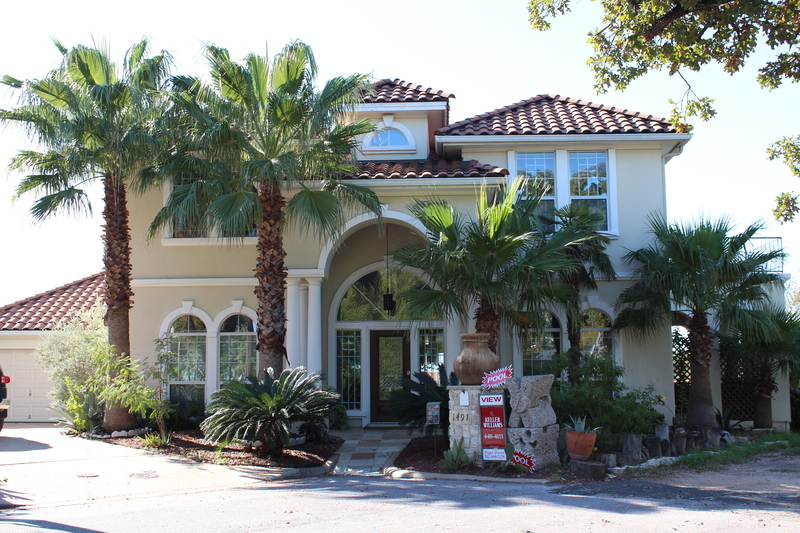 Although Lake Travis water levels are on the rise with recent rains, the drought that has claimed plenty of businesses, affected Austin farming and lowered property values all around still keeps the city from staying afloat. The Lower Colorado River Authority‘s worries have only increased since the drought began taking a serious impact on the region three years ago, and according to Public Information Officer Clara Tuma, the recent rains haven’t changed the unfortunate situation much. 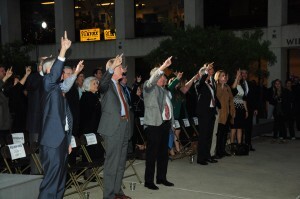 The crowd sings The Eyes of Texas to close the Nov. 7 naming ceremony. 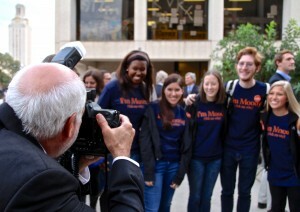 Students, faculty, alumni and other spectators crowded outside the College of Communication Nov. 7, honoring the Moody Foundation for their $50 million donation to the school. 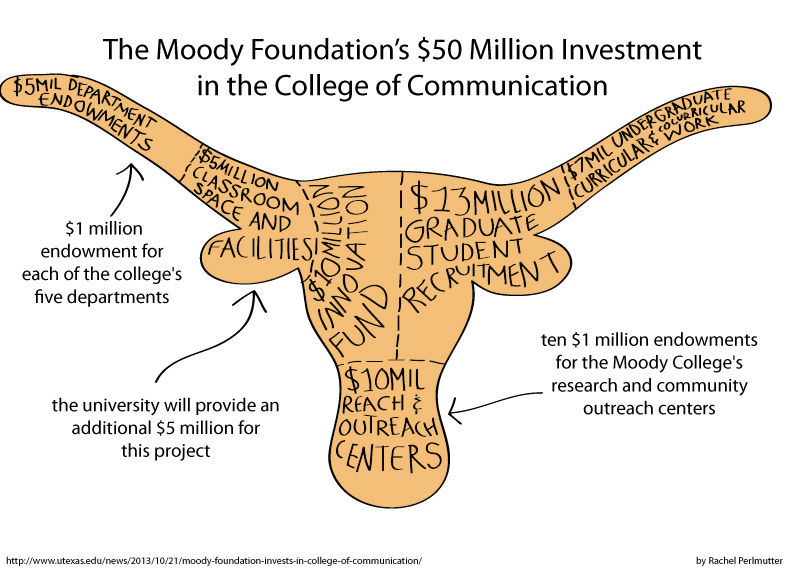 The gift will make the now Moody College of Communication the largest endowed communications school in the county. 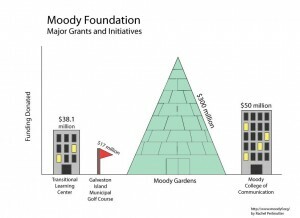 The Moody Foundation, began by W.L. Moody Jr. in 1942, was created to benefit the success of present and future generations of Texans. 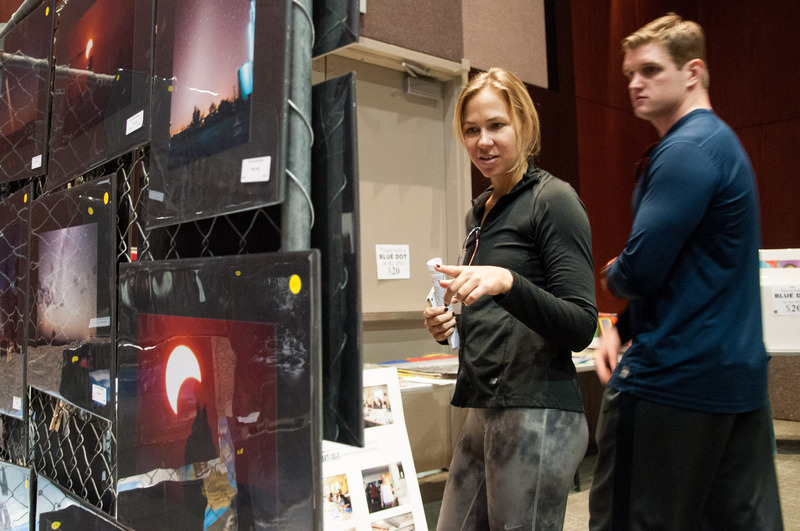 Known for their philanthropic work, including funding public higher education around the state, the foundation originally granted UT’s RTF program $2.1 million dollars for curriculum in 3D film production earlier in the year. Dean of the College Communications Roderick Hart decided to build on this initial investment. 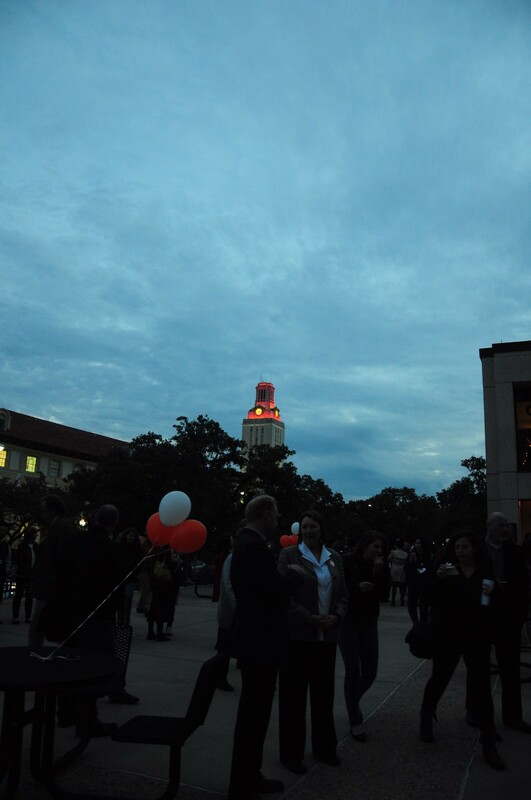 “Extraordinary work is taking place at this college, it was an easy decision to invest in the college and it’s academic programs,” Ross Moody, Moody Foundation trustee and UT graduate, told the attendees of the celebration. According to Dean Hart, one thing that attracted The Moody Foundation was that most of the money gifted would be used as endowments. 95 percent of the $50 million will be put in the bank as principal. 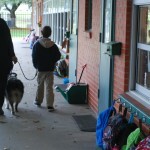 They will later use the interest generated from the principal, making the donation a long-term investment. According to Mike Wilson, Assistant Dean for External Relations in the College of Communication, the gift by in large will be centered around an innovation fund. 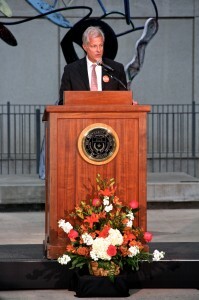 He believes one of the key issues surrounding the college is the rapid pace of technological change. “We need to be ahead of the curve and be able to teach things that are relevant to a changing market place in both the industries we serve and the way in which consumers want to receive information,” Wilson said. The innovation fund is designed to create curriculum, lectures, and programs that are able to keep students prepared for the jobs of the future. 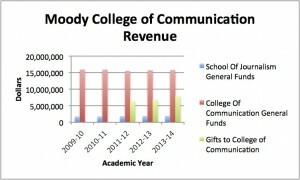 Money from the endowment will also go to the nine centers within the college. 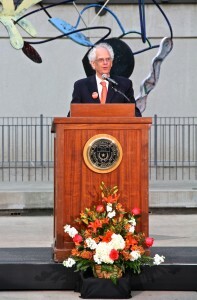 According to Dean Wilson, each center will be given a $1 million endowment. 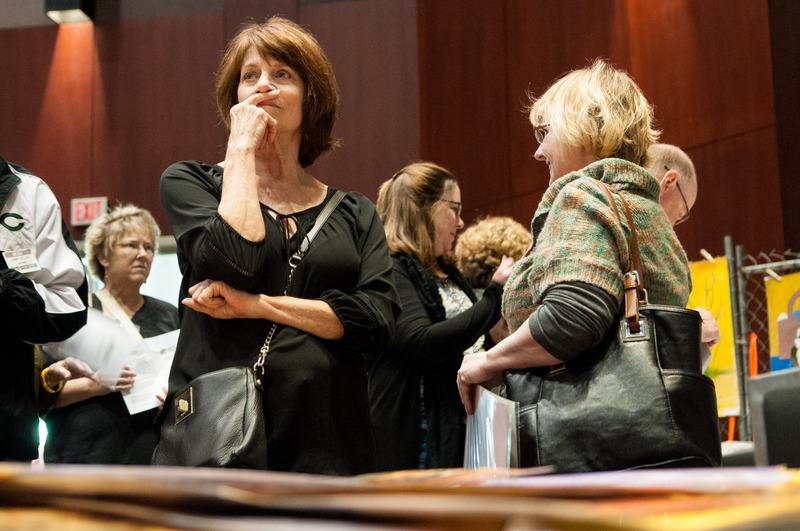 One of the centers receiving an endowment is the Annette Strauss Institute for Civic Life. The Strauss Institute conducts research on civil engagement and runs outreach programs to middle and high school students. Another center receiving part of the endowment is the Knight Center, an outreach program that helps journalists in Latin America and creates online courses benefiting journalists all over the world. 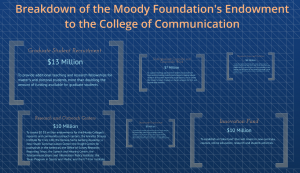 Though most of the money is going towards student and faculty, $10 million dollars of the Moody donation will be allocated to build a sky bridge that will stretch over Dean Keeton Street and connect the Belo Media Center to the CMA building. 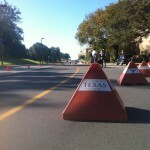 According to Dean Hart, there is a big safety concern with students crossing Dean Keeton Street. Hart also felt that the two buildings being split across the street made the college as a whole seem split. 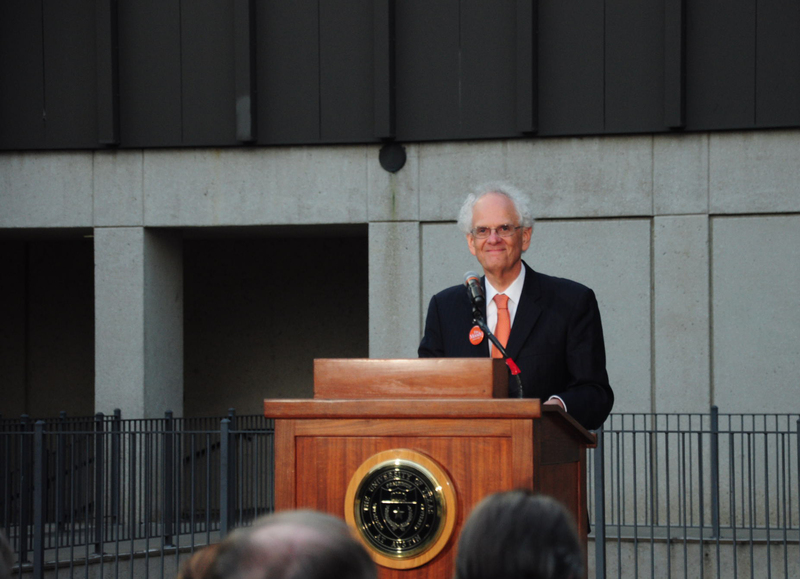 “Along with being aesthetically pleasing, the bridge will connect the buildings not only physically, but psychologically as well,” Dean Hart said. 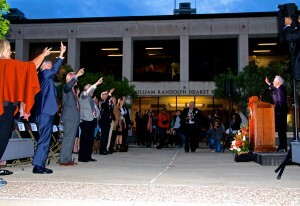 According to many faculty and staff, the best part of the $50 million endowment is the name that comes along with it. Wilson explained that having a well-known name linked with the college gives the school enormous benefits, making it recognized nationally and internationally and attracting new talent and more people to the school. 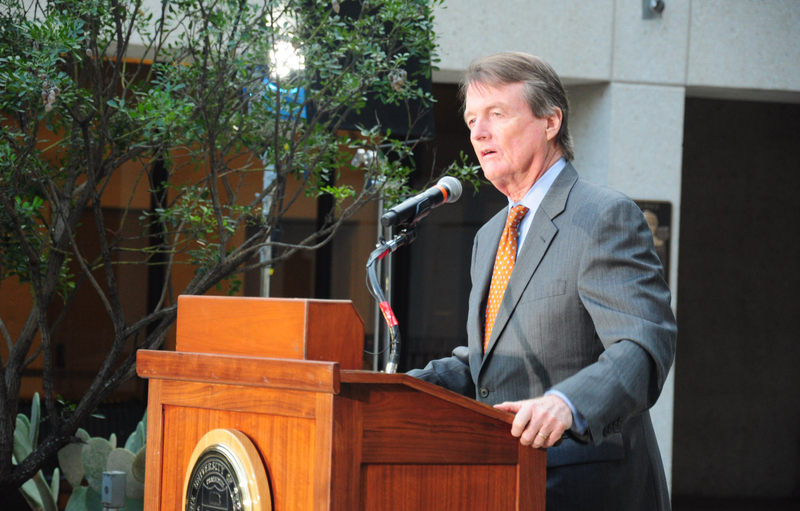 “We are delighted to give this gift and we are in awe to have the Moody name on this campus,” said Ross Moody. 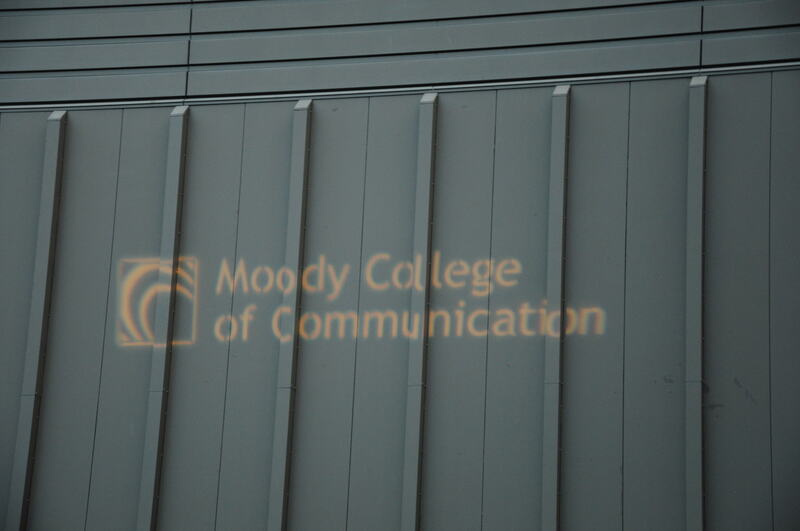 “May the Moody College of Communications teaching and programs continue to inspire a desire for excellence and be a positive influence in all that enter our doors. 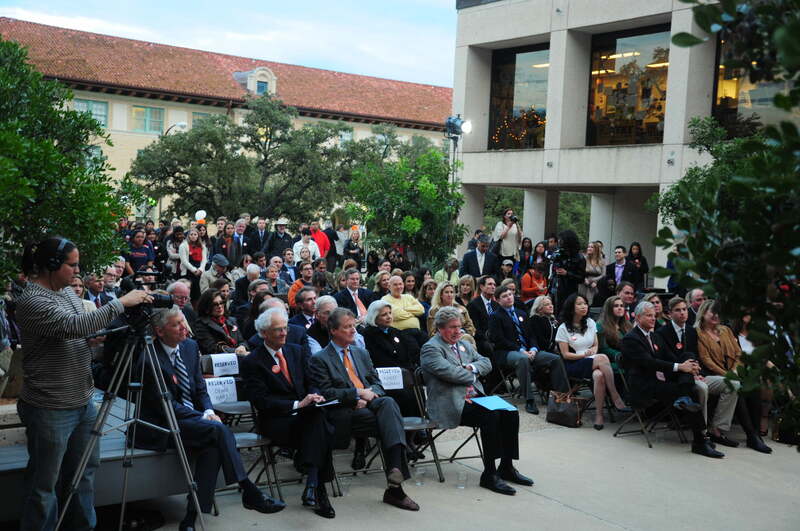 Students and faculty gathered outside of the Moody College of Communication on Nov. 7 to celebrate the $50 million donation granted by the Moody Foundation. 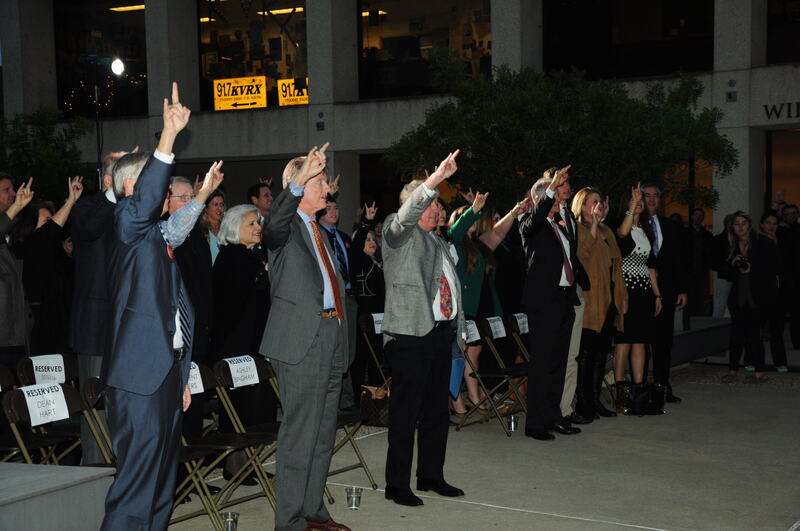 This donation — the largest one ever to be received by the college — will further the college’s national leader status, university officials said. 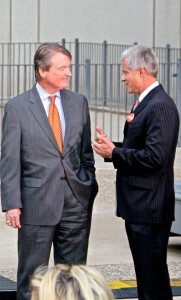 President Powers (left) takes a moment to speak with Moody foundation trustee Ross Moody before the ceremony begins. UT President William Powers Jr. spoke about how big of an impact the donation will make on future Texas students. The foundation, founded in Galveston in 1866, was “created for the perpetual benefit of present and future generations of Texans by William Lewis Moody, Jr. and his wife, Libbie Sheran Moody.” Some of its largest grants include the Moody Gardens in Galveston ($300 million), the Transitional Learning Center in Galveston, ($38.1 million), the Galveston Municipal Golf Course, which is a part of the Moody Gardens and currently undergoing a $17 million renovation, and now the Moody College of Communication at UT Austin. 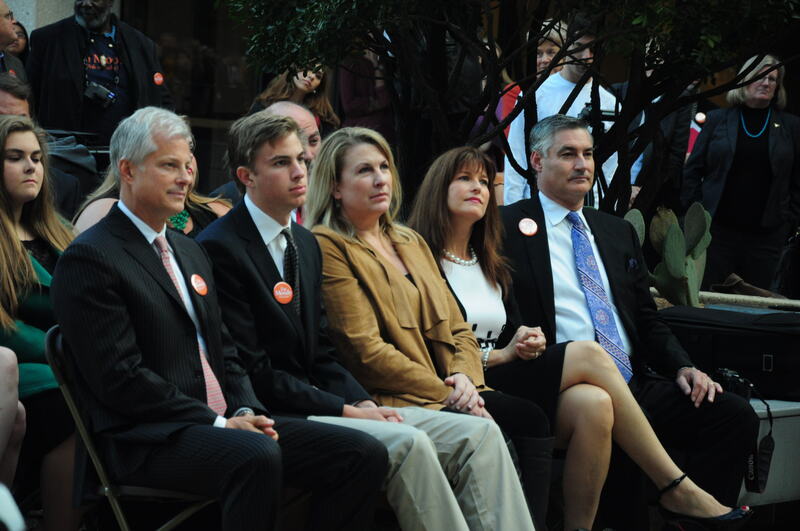 After introducing members of the Moody family present at the ceremony, one of which is a freshman at the University, Powers handed off the microphone to Moody Foundation Trustee and also UT alumnus, Ross Moody, who explained the reasoning behind the grant. 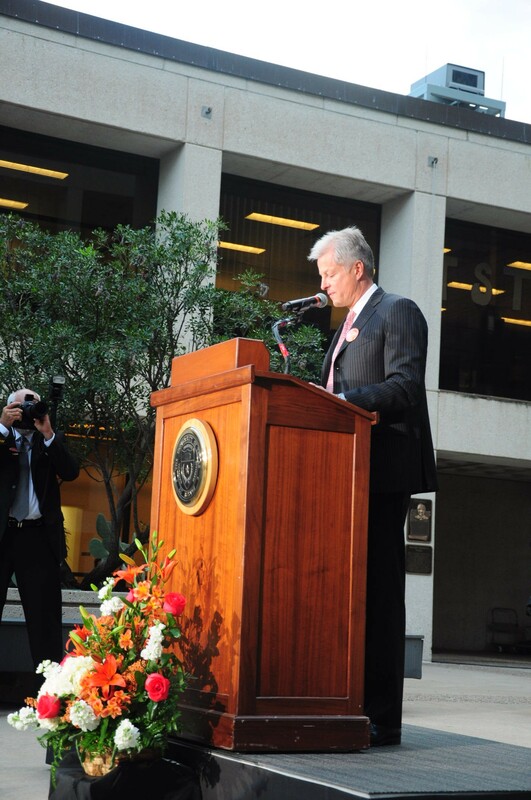 Ross Moody, one of the Moody Foundation trustees, spoke mainly about their decision behind the generous donation. 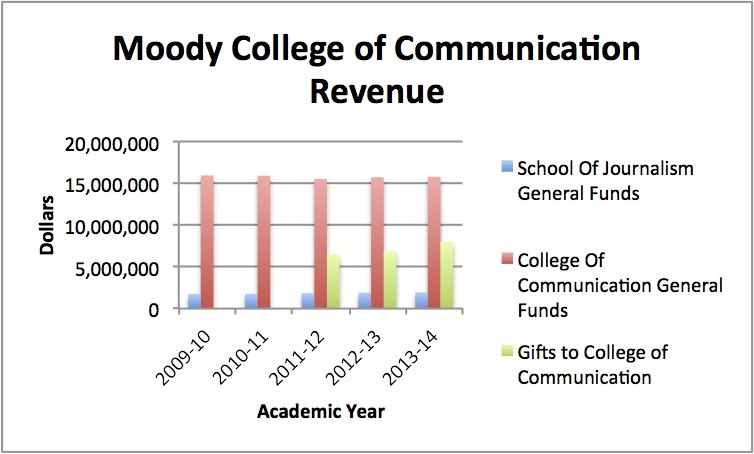 Gifts to the College of Communication have risen by about $1.5 million during the past two years — from about $6.5 million during the 2011-12 academic year to almost $8 million in academic year 2013-14, according to the UT Budget Office. 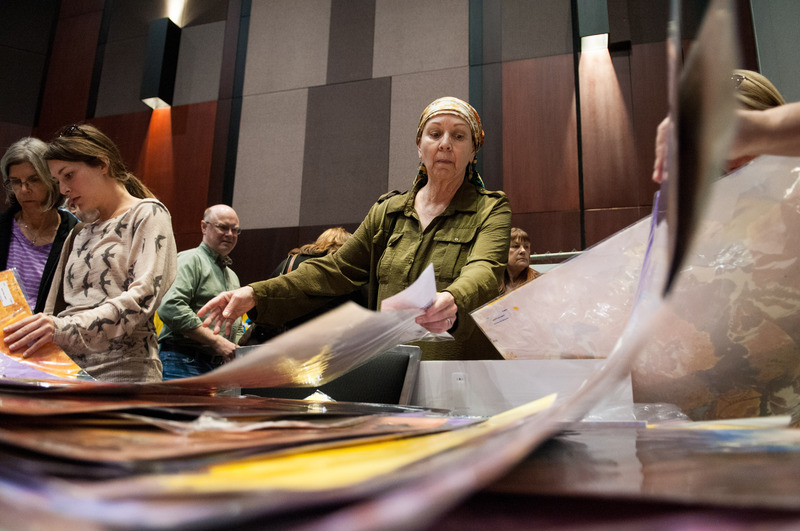 The School of Journalism is increasingly reliant on donations as funds from the state decrease, said Glenn Frankel, the school’s director. He said the donation would be used to foster innovative programs and techniques invented by faculty and students — something the school needs to ensure it produces students who are entering a changing media marketplace. Some of those innovations will require students to acquire skills that are increasingly needed in a market that values web-based content and skills. UT journalism professor Robert Quigley — who teaches a class focusing on social media’s role in journalism — said students will need to be able to invent new storytelling techniques, not just existing tools. Students of the class of 2013-14 gather around for a photo – some of the first to graduate from the Moody College of Communication. 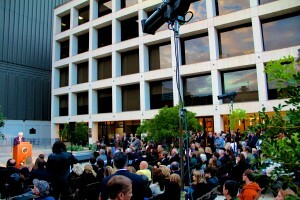 The ceremony took place on the Walker Cronkite Plaza, outside of the newly renamed college. 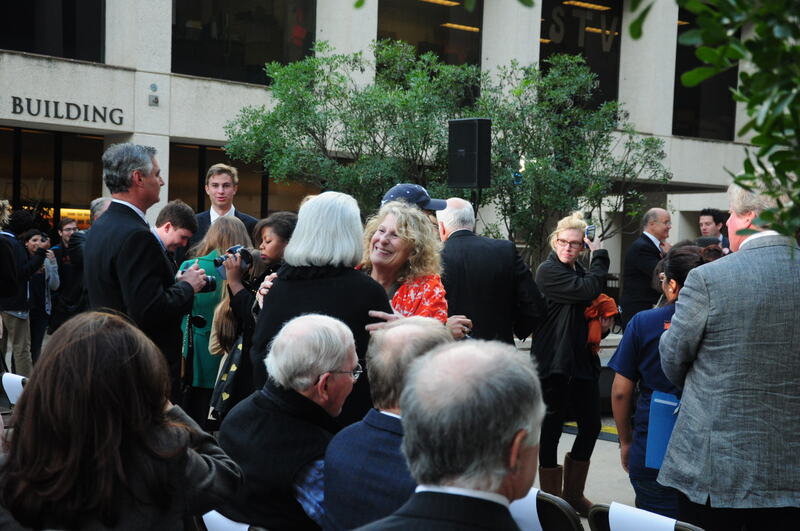 Wanda Garner Cash, associate director of the School of Journalism, is thrilled to be at the Moody donation ceremony. 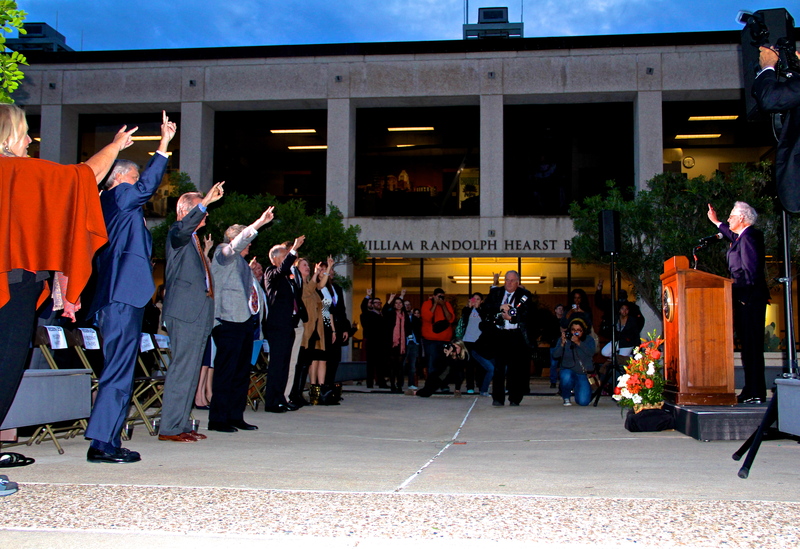 The ceremony ended with Dean Roderick Hart asking the crowd to join him in singing the Eyes of Texas. By Katey Psencik, Austin Powell, and Batli Joselevitz. The concept of tailgating vaguely dates back to the late 1800s during the Civil War, according to the American Tailgate Association. At the Battle of Bull Run civilians had food with them and shouted their support for the Union in hopes of winning the battle. Today, setting up a tent or RV providing food, drinks and televisions for Longhorn football fans brings the University of Texas community together hours before a football game along with many tailgate traditions. 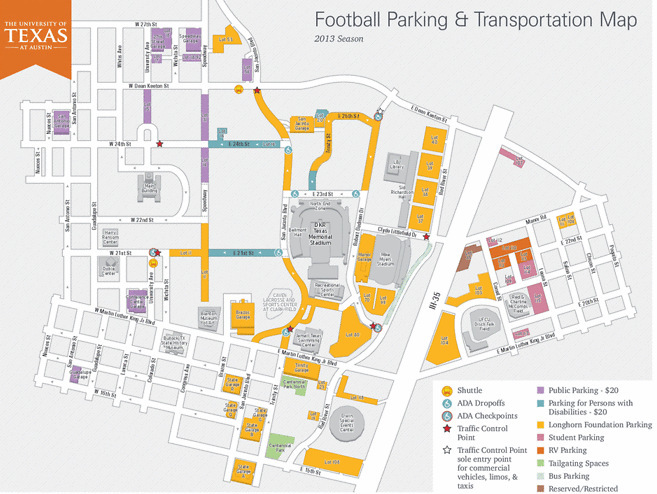 General map of Football parking, transportation, and tailgate locations during the 2013 season provided by UT-Austin. Photographs of various tailgaters at the Texas Longhorns v Kansas Jayhawks home game November 2, 2013. Maria Gonzales has been attending UT games for the past four years with her friends and family from San Angelo and Ft. Worth. She did not attend UT but says that the tradition and brand recognition the university has is what attracts her to come to the games. 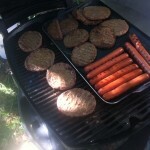 Hotdogs and hamburgers are mainstays at tailgates. 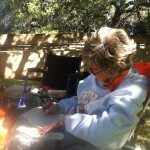 Kathy Gathwright has been tailgating at UT games for over 20 years. 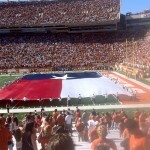 It’s a pre-game tradition at Longhorn games to unveil the Texas flag. Alpha Phi Omega is the group in charge of showing the flag. 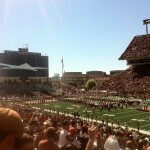 The Longhorns ended up beating the University of Kansas 35-13. Free food and good times are all but guaranteed while tailgating. 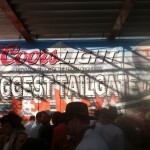 Tailgates can be hosted by friends or large corporations. 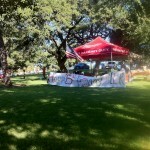 Show up to the tailgating area before 7 a.m. You may lose tailgating privileges. When setting up make sure that tents don’t block the sidewalk and fire lanes. 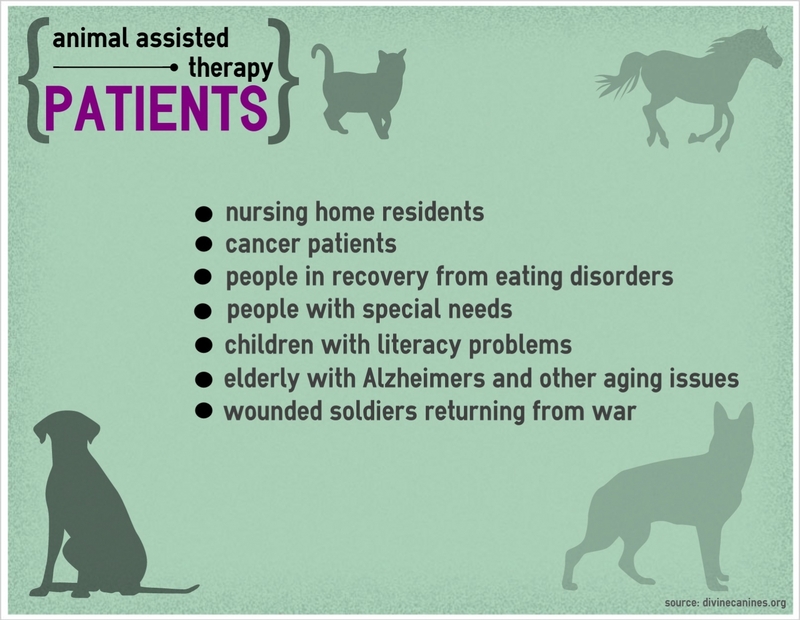 Bring your pet. 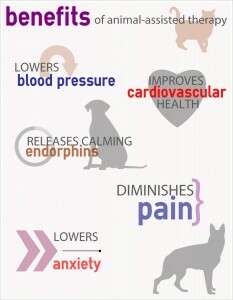 It is really crowded and there is not a lot of space for your furry friend to roam about. When grilling at a tailgate, don’t dispose charcoal, wood or grease in the trash cans, grass, parking lots or street drains. Bring portable restrooms, UT provides portable facilities for Longhorn fans. Organize your own tailgate if it’s your first time. There are many tailgates to join just by walking around Centennial Park. Arrive at the tailgate area at 7 a.m. to set up equipment for the day’s activities. Arrive two to four hours before kick-off to find metered parking or park at Bob Bullock Texas History Museum’s underground parking garage. Bring a cooler, sunscreen, camping chair, sunglasses, and friends. Drink a lot of water, it can get very hot early in the season –you want to avoid a heatstroke. Clean up after the tailgate, or else you may be fined. 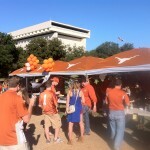 Help out tailgate hosts, such as the Horn-Ball Texas Tailgaters. They provide free food and drinks and could always use an extra hand. Left: UT alumnus Marcia shares stories of her and her husband’s more than 50 years of attending Texas football games and tailgates. Right: UT alumnus Nick Class plays a tune Longhorn fans know well with an unorthodox instrument. Google map highlights designated tailgate areas near UT-Austin including information on purchasing lots for tailgates and what you may find at certain tailgate events. 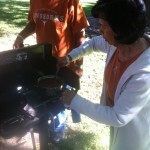 Native Austinite Cary shares stories of decades of tailgating and family superstitions. Texas may be the home to a number of Southern charms – including the Dallas Cowboys, the world’s largest rodeo, and Blue Bell Ice Cream – but nothing says Texas more than good ol’ southern barbecue. Fatty brisket and smoked sausages are such popular staples in the Texan’s diet that it shouldn’t come as a surprise to locals and non-locals alike that there exists in Austin an annual celebration dedicated solely to the glorified meat. 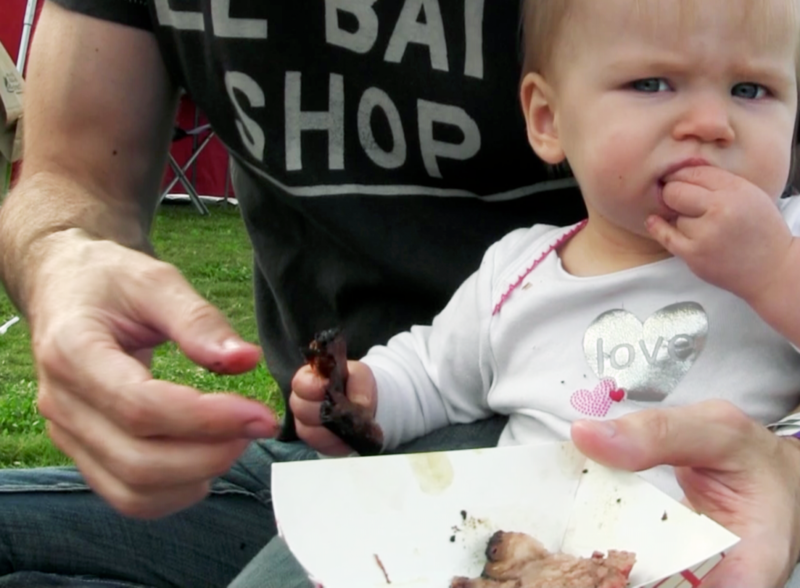 November 3, 2013 marked the 4th annual Texas Monthly BBQ Fest. 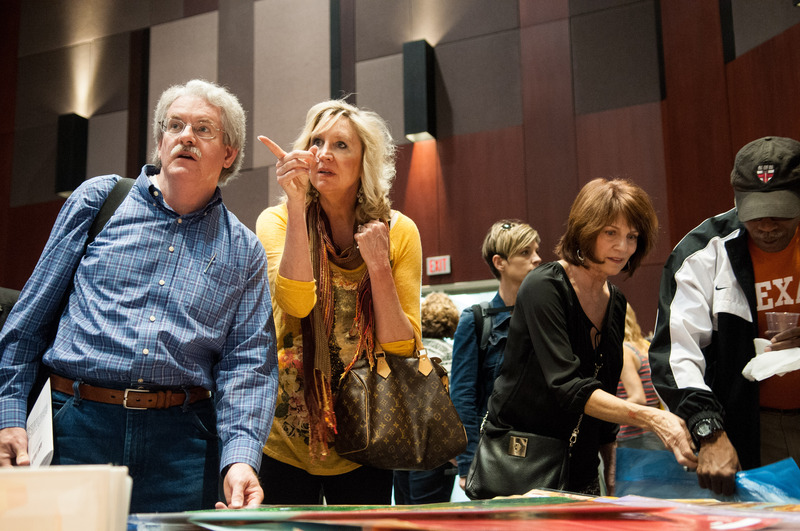 Hosted by the award-winning magazine, Texas Monthly, the festival welcomed carnivores from all over the state to sample 21 of the “Top 50” barbecue joints in Texas, including some of the hardest to get your hands on, like Austin’s Franklin Barbecue and Snow’s BBQ in Lexington. But even the barbecue houses that didn’t earn a spot in Texas Monthly’s Top 50 still hold a special place in the hearts of its surrounding meat lovers. One of Austin’s most beloved spots to chow down is Ruby’s BBQ, located just north of the University of Texas. Known as the city’s only barbecue restaurant that uses all natural beef, Ruby’s was founded in 1988 by married couple Pat and Luke Zimmermann. “Pat and Luke have always kind of run the place,” General Manager Amy Marsh said. It’s real family style. Lots of college kids have come through here, and that’s really been their family.” To celebrate their 25th anniversary in December, the couple is having live music and a possible showing of The Fugitive, the film that gave Ruby’s its name. Another local favorite is Blue Ox, which hit the ground running in January of this year under the direction of former UT student Chase Palmer. Blending Austin’s food truck culture and Texas’s love for barbecue, Blue Ox has made a name for itself as a stationary food truck located in the The Buzz Mill coffeehouse. As young as it is, the local joint is already famous for its mouth-watering brisket and espresso-rubbed pork tenderloin. The quality of the barbecue no doubt has to do with the fact that Palmer is dedicated to using wood to cook his meat instead of propane gas – a traditional method that many larger barbecue companies have given up on because of the time and effort it requires. “There’s a lot of problems you get from doing barbecue the “right way,” but we do it because there is enough quality difference to make it worth it,” Palmer said. 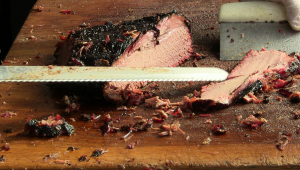 Brisket by Black’s Barbecue of Lockhart, Texas. Taken at Texas Monthly Barbecue Festival. Among these rules are the following: Cooking must be done using wood or wood substance. No propane can be used. No garnishes can be added to the meat, and sauce has to be cooked in, which means that it cannot be added once the meat comes off the pit. If sauce is detected, the entry is disqualified. The members of the association cook for points throughout the year, and the team with the most points at the end of the year wins the title “Cook of the Year.” If bragging rights aren’t enough to motivate the contestants, the prize money offered to the winner might be. In order to live in Texas, however, you don’t have to be an award-winning griller. You just have to know the taste of good barbecue. One such Texan is Jon Chapman, who frequents East Austin’s Live Oak Barbecue and knows the owner, Thomas Spaulding. “Somehow, meat is so afraid of him, it falls apart right off the bone when he cooks it,” Chapman said about Spaulding. He obviously knows the first sign of a Texas pit master. It’s no secret that Texans love their smoked meat. 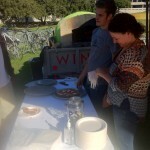 The TMBBQ Fest, which was held in the lawn of Austin’s Long Center, sold completely out of tickets (for both VIP and General Admission) within a short span of 30 hours of being made available. 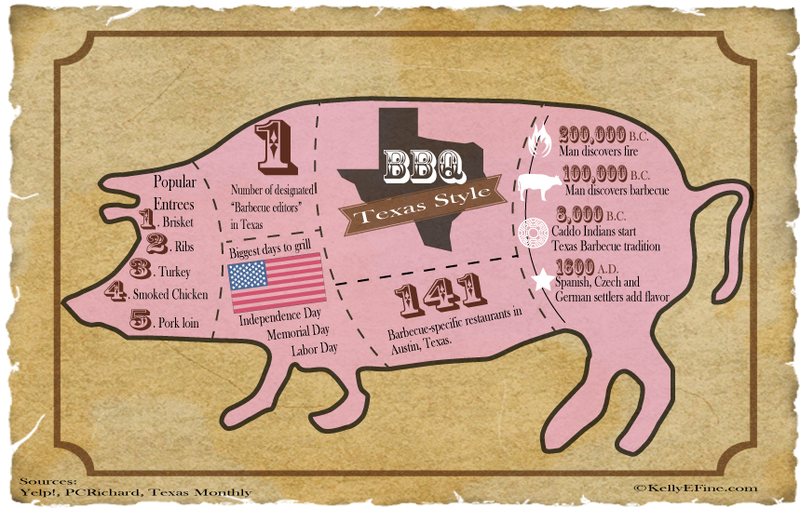 But when did barbecue become integral to Texas culture? According to Daniel Vaughn, the country’s only full-time barbecue editor, barbecue has been around since the days following the Civil War. Based on his own findings from old Texas newspapers, Vaughn has reason to believe that the state’s first commercially sold barbecue began in Bastrop in August 1886. Alexander & Gill competed with John Kohler in the quest to sell the most meat, and it didn’t take long for the trend to catch on with other Texas grillers. Southside Market, an Elgin hotspot, would become the first official barbecue joint to open in Texas in the same year. Nowadays, barbecue establishments from all over the Lone Star State are still striving for the highest place of honor in the hearts of brisket-obsessed Texans, if for nothing else than the satisfaction of housing the best. But as fundamental as this cuisine is to Texas culture, the state is too big for all of its inhabitants to agree on the best type of barbecue. Each region puts a unique spin on what Texas Monthly has deemed the “classic” version: Central Texas’s plain hunk of beef prepared “meat market style,” with a little sauce on the side. But whether we’re talking about the tangy sauce-soaked ribs of East Texas or the smoky mesquite-cooked beef of West Texas, most barbecue fiends can agree on one thing: there is no barbecue in the world like Texas BBQ.